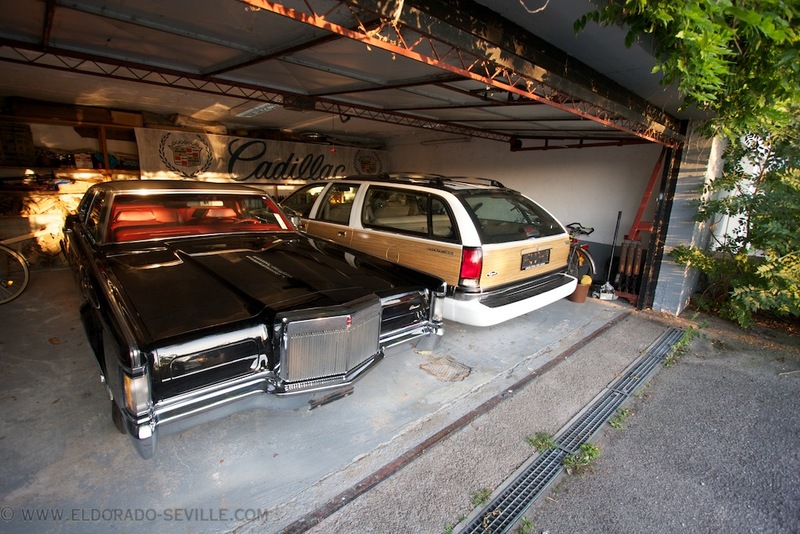 Various | Geralds 1958 Cadillac Eldorado Seville, 1967 Cadillac Deville,1967 Cadillac Eldorado, 1971 Lincoln Continental Mark III and 1978 Cadillac Eldorado Biarritz. Today I welcomed a visitor all the way from Australia in my garage. My mom unexpectedly, peacefully passed away yesterday evening. I found her this morning. We had a great day with her yesterday when she celebrated my sons 7th birthday with us. Nobody expected that this would be her last day. 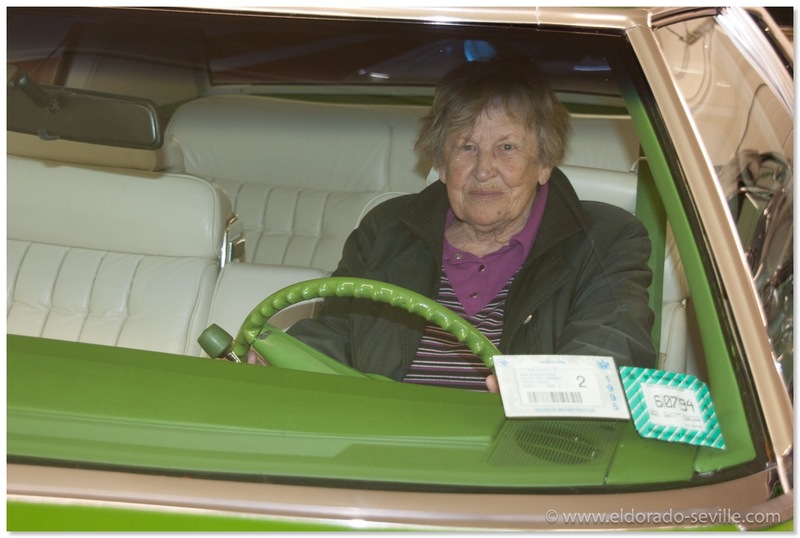 At age 87 she still drove her car, regularly rode her bicycle and went shopping on her own, although her heart was a little weak. She did not have an easy life. She lost both of her husbands in work related accidents. I was only 4 years old when my father passed away. She was a fighter and rose me and my sister on her own without any help. 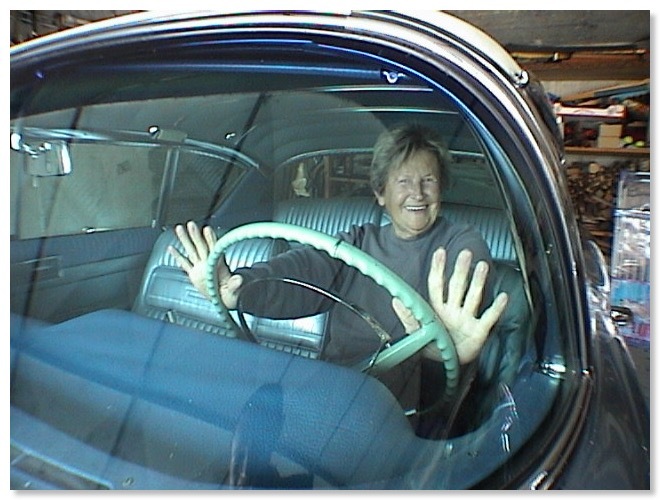 She fully supported my Cadillac passion and liked my cars, and had a good time when I took her for a spin in one of them. She was always interested in what was going on in my garage. I miss her very much! Love you mom! Mom in my 74. 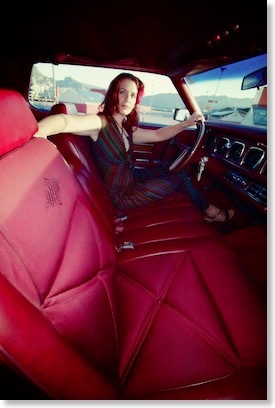 She liked this car very much! 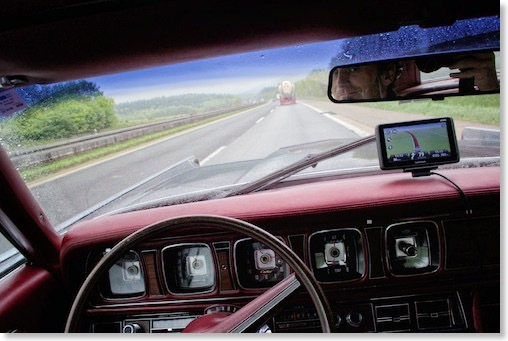 The Cadillac BIG Meet 2014 - testing the Driving Tour. 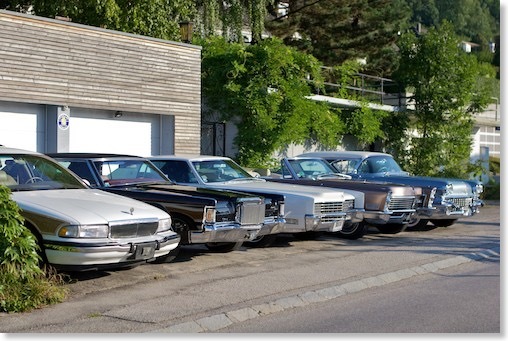 I´m a proud member of the organization team of the Cadillac BIG Meet - Europe's biggest Cadillac meeting. Today we tested the driving tour for this years meeting, which will be held on Saturday 23rd of August - the day before the BIG meeting. 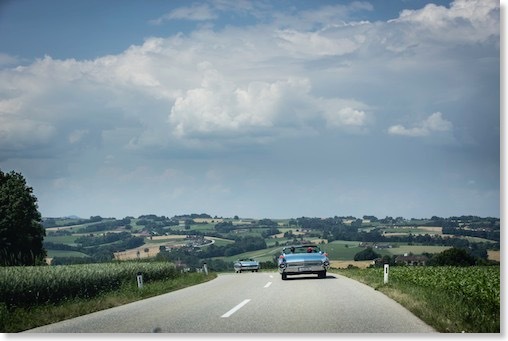 Almost all the members of our team took part in the test and we had a great convoy with our cars. 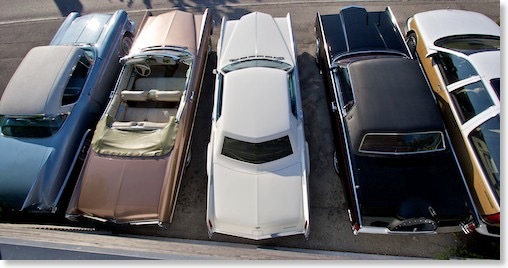 My family and I took the 67 Eldorado for the tour. The tour will be spectacular this year with the most participants we ever had. 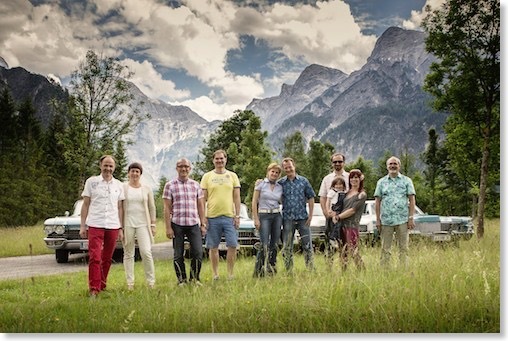 The biggest part of the organization team during the driving tour. 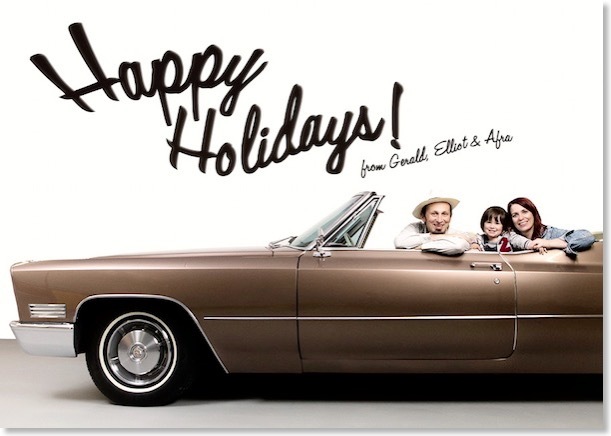 Christian with his 60 Biarritz - followed by Steve and his 65 Sedan deVille. 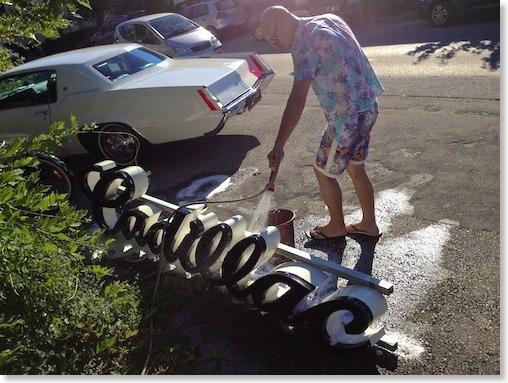 Below you can find the press release for the 2014 Cadillac BIG Meet. Thanks to all visitors of my little site and thanks for all your nice comments and kind words and for all the people I had the chance to meet and that became real friends through my site. You great people are the reason why I´m running this site. I wish you all a happy 2014! 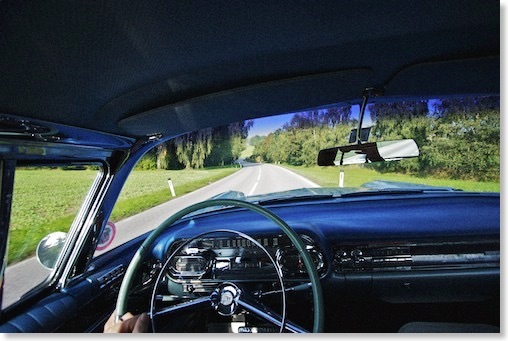 Keep on cruising! 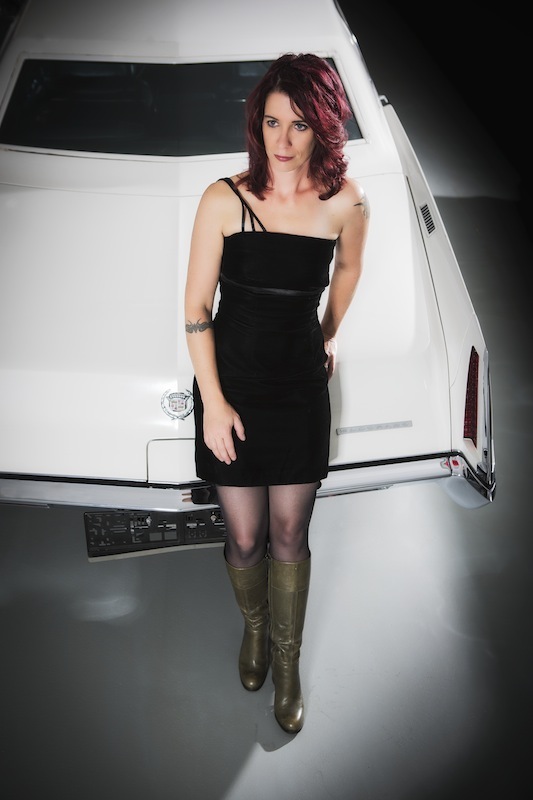 We recently got some new flash equipment for our photographic business and did a nice test photo shooting with my beautiful wife and my cars. 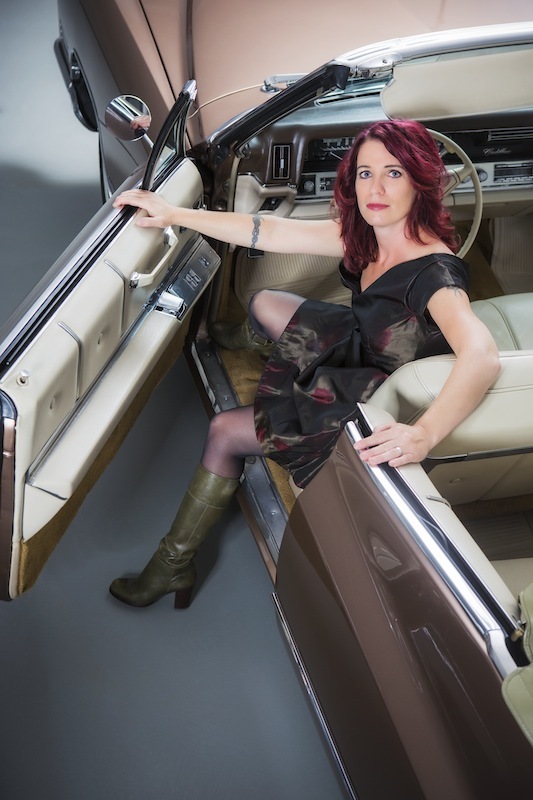 My wife Afra and I were asked to do a photo shooting with a very special car for a friend. 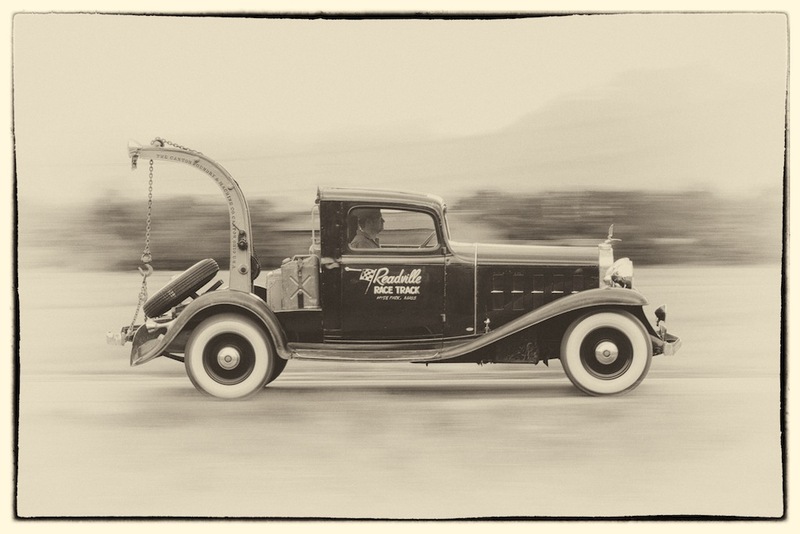 It's a 1932 LaSalle which was converted into a tow truck sometimes in the 1950s and used as a race track tow truck. 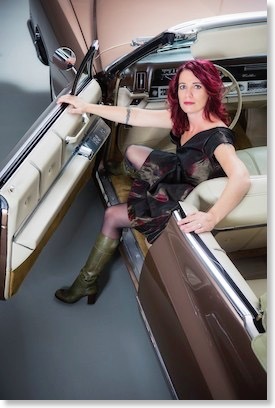 Of course we loved this shoot very much and took some very nice pictures of the car and the owner. 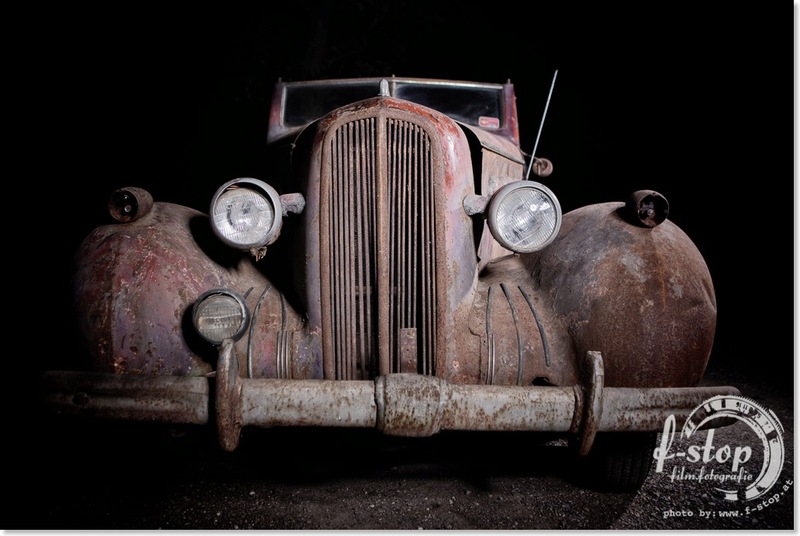 The owner will start to restore the car back to its original condition as a roadster in the near future. The owner was so kind to let me drive his car. It was a completely new experience for me to drive such a prewar car. Great! 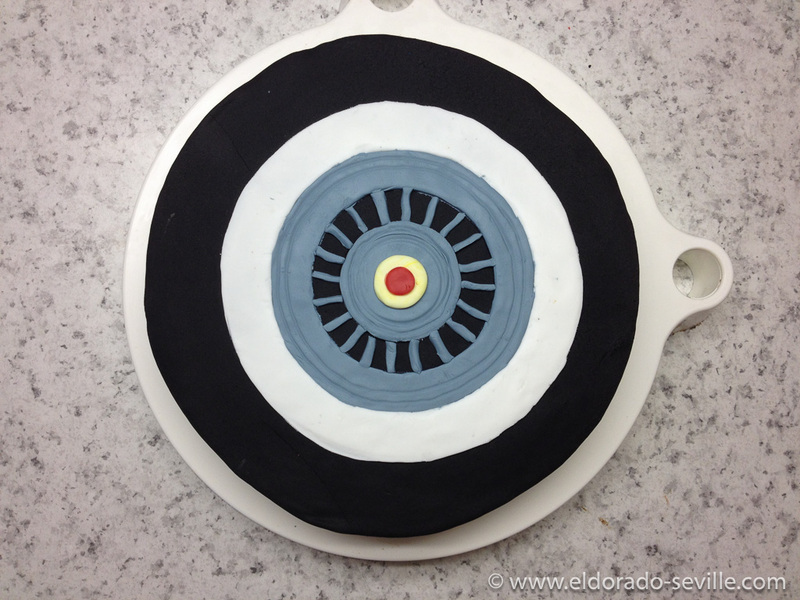 Some of the resulting images can be found here. 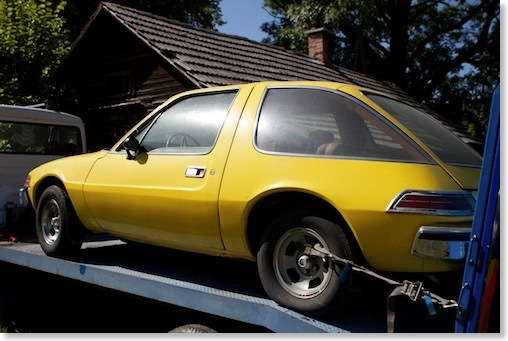 It´s still a very agile car despite its age. 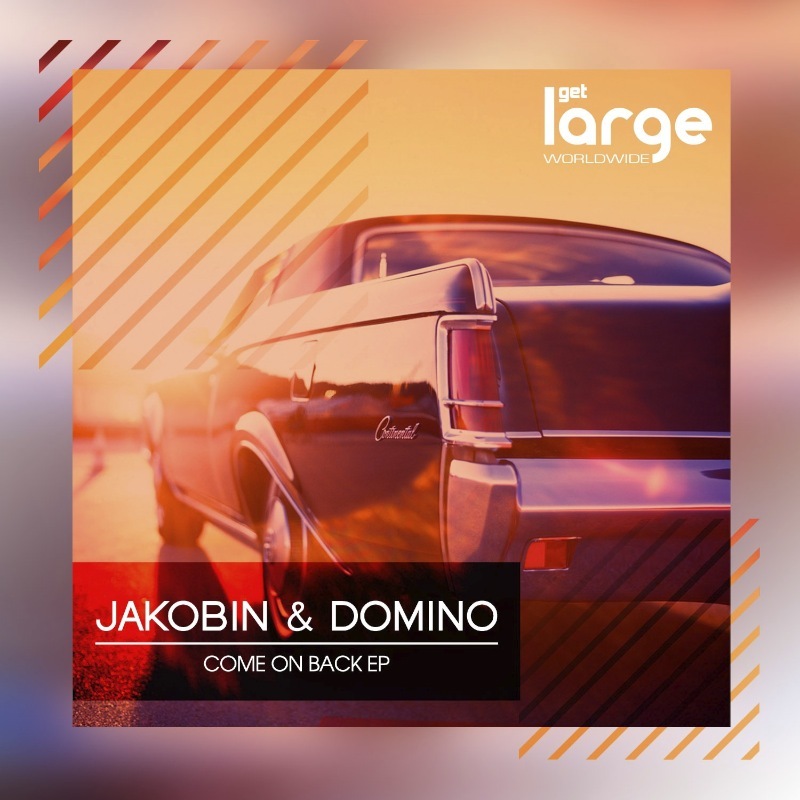 One of the photographs my wife took from my Mark III was used for the new EP of Jakobin & Domino for their "Come on Back EP". A lot of my car pictures were used for CD covers from bands from all over the world in the past and this is the newest release. 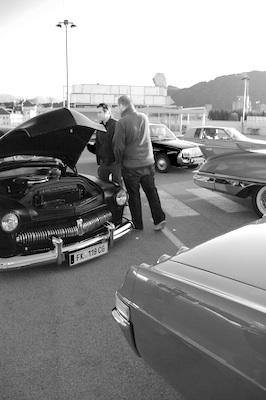 The car season 2013 just started. I got my license plates again and the cars are back on the road after long winter hibernation. 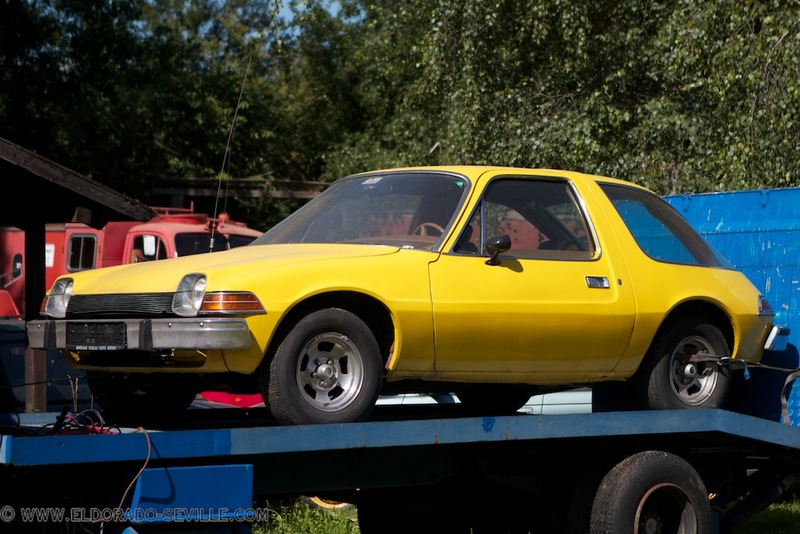 Lets hope for some really nice weather this summer and that I will have enough time to drive and enjoy my cars. The 58 Seville came out first and needed some new brake fluid and a complete flush of the brake system and a thorough bleeding. Thankfully my wife helped me pushing the brake pedal while I was doing the bleeding procedure under the car. Its great to have such a lovely helper! Thanks darling! The shooting was done in Bernds shop which is the cleanest shop I have ever seen. His paint work is spectacular. The pictures came out great - below you can view one of them. 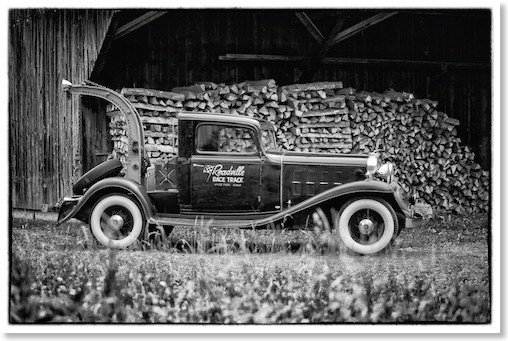 The rest can be found on our professional photographic website. 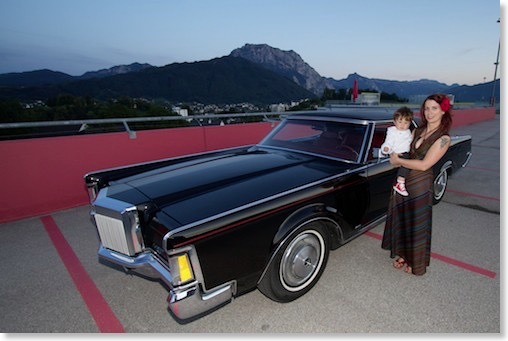 Great car and pretty girls! My wife and the model at work. 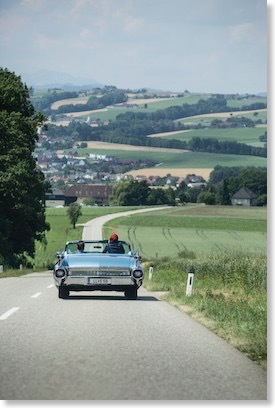 My Mark III is back home after it spent a while at Toms Club in Germany. 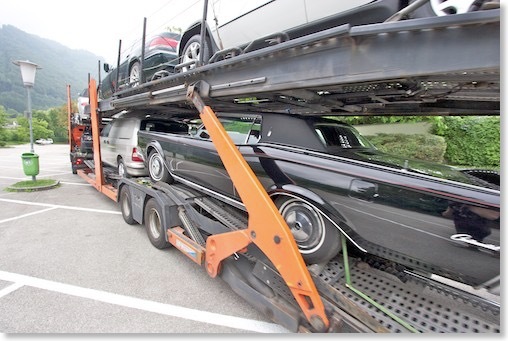 Tom Witzel took care of my roof repair as the car was damaged during the shipment from the USA on the truck. 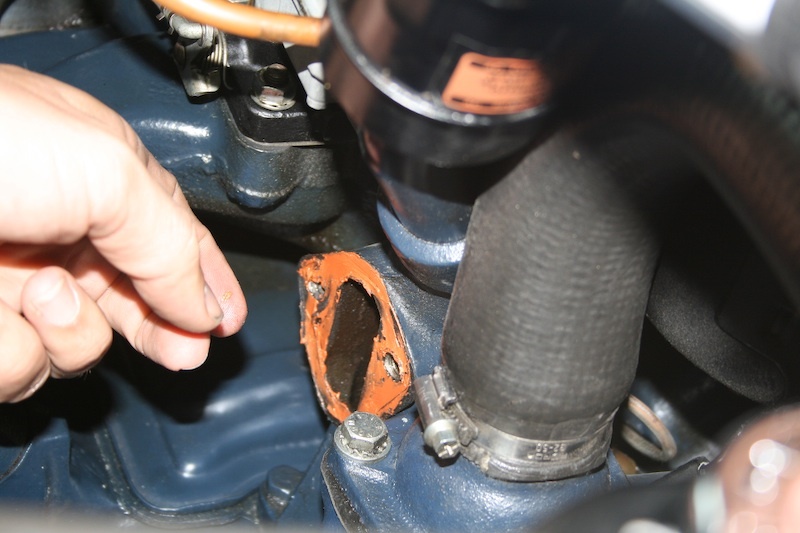 Tomsclub has a great restoration service and besides the Cavalry Twill roof repair they also did some other work on the car like repairing the carburetor base plate, adjusting the ignition and other little tune-up things. The quality of their work is exceptional. My Mark III made the 400 Mile trip home without a problem and turned out to be pretty fuel efficient on the highway at a steady 65mph. It averaged 21 mpg - which is really good for such a car. 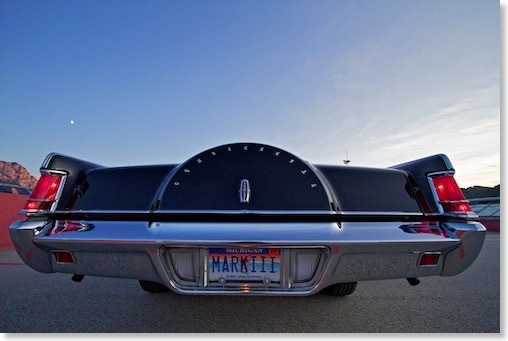 A spectacular super low mileage 1979 Mark V - only 4.500 Miles! A spectacular super low mileage 1979 Mark V Collectors Edition - only 4.500 Miles! 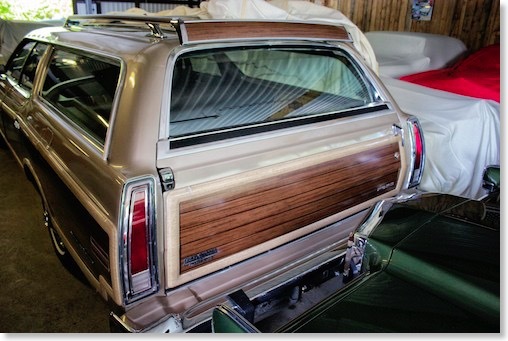 I have a soft spot for old Station Wagons - this 1978 Ford Country Squire just blew me away. 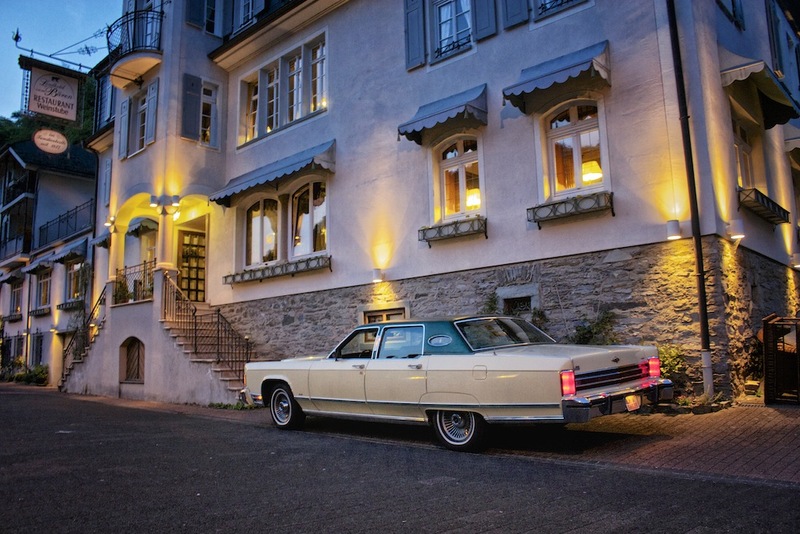 In the evening at the restaurant - Tom Witzel arrived with this awesome 1977 Town Car. 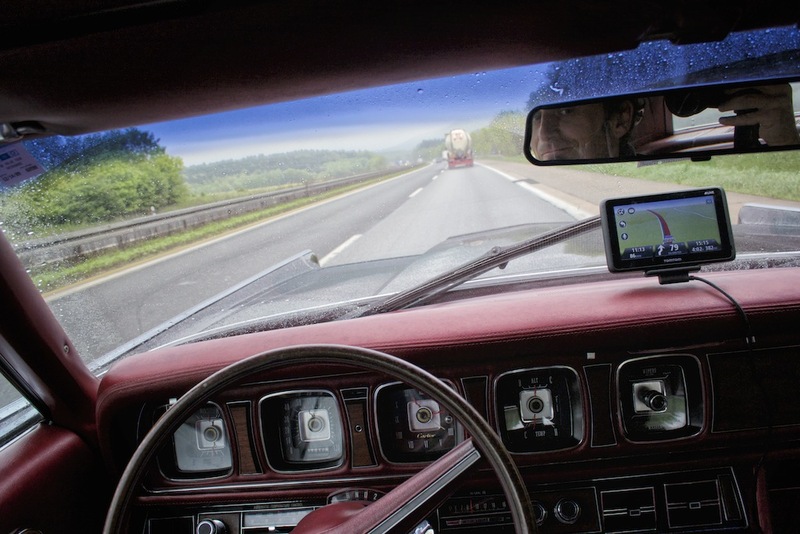 During the almost 400 mile trip home with my Mark III - it drove like a dream! Too bad it was raining... Fuel efficiency was pretty good - 21mpg! 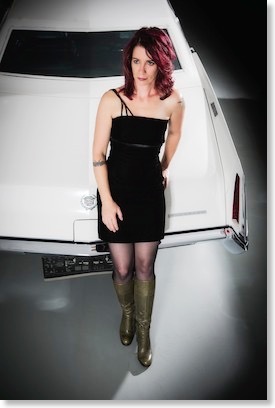 My wife and I just recently had a photo shooting in my Cadillac garage with the newest Hot Rod creation from the "Haus of HotRod" for a Hot Rod magazine. This is a short look behind the scenes of the shooting. 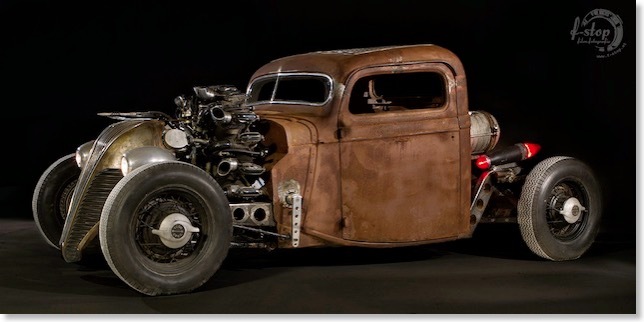 This Hot Rod named "The Patmobil" is equipped with a rotary 9 cylinder airplane engine! 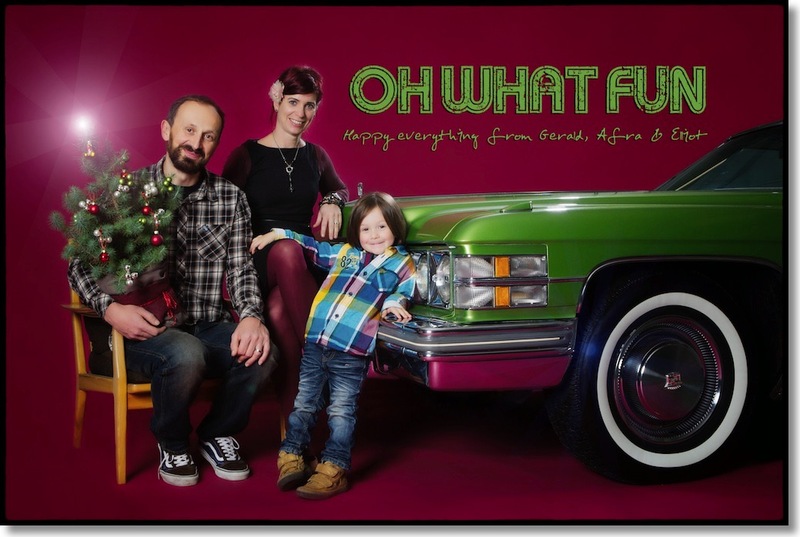 My wife Afra is a professional photographer and did this shooting for free for our friend Sepp. Here is a short making of video of the shooting. The pictures from the shooting can be found in this gallery. Make sure to watch the video in HD! 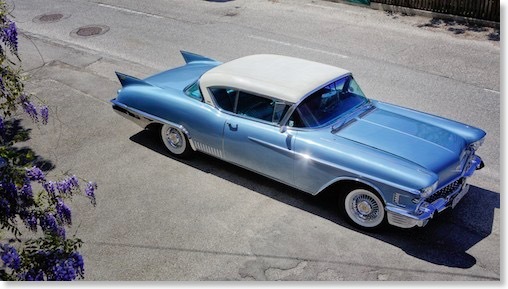 During the cold and way too long winter I won’t have any Cadillac activities going on. 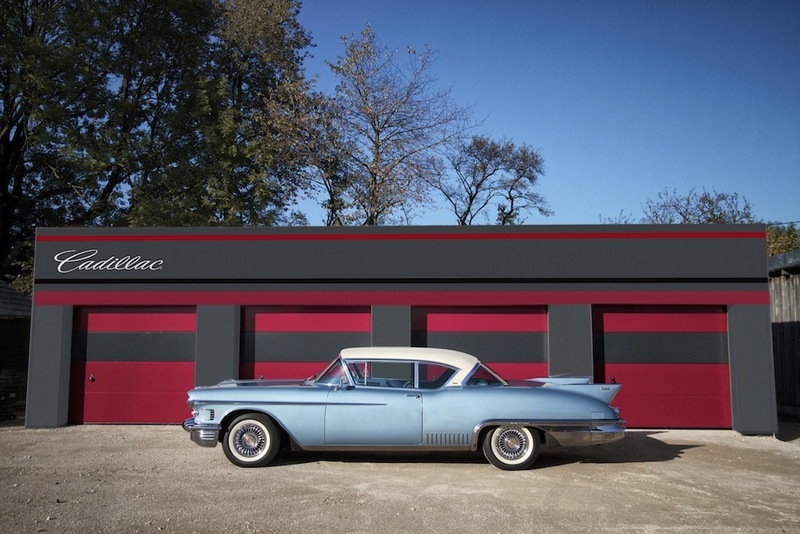 My main project 2012 was the construction of my new Cadillac Garage. Unfortunately I was not able to finish the garage project before the winter due to some major health problems with my back and some delays with building permissions. The project started two months later as initially planned. 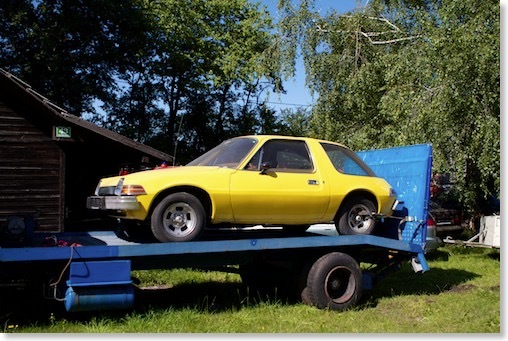 I really hope that my back will get better until next spring and that I can start working on my new garage and my cars once again. 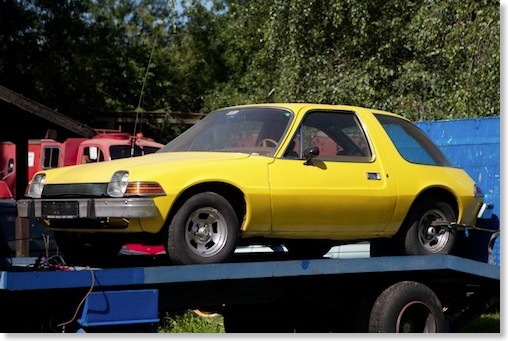 I drove all my cars together for only around 400 miles, due to some very wet summer and lots of work. I really had no time to enjoy my cars as much as I would have wanted. 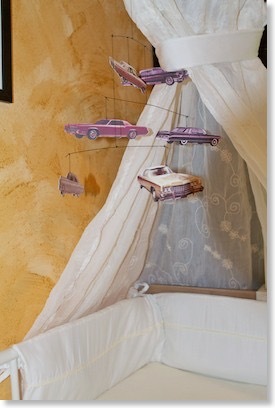 Thats not good for the cars as well - they were built to get driven! 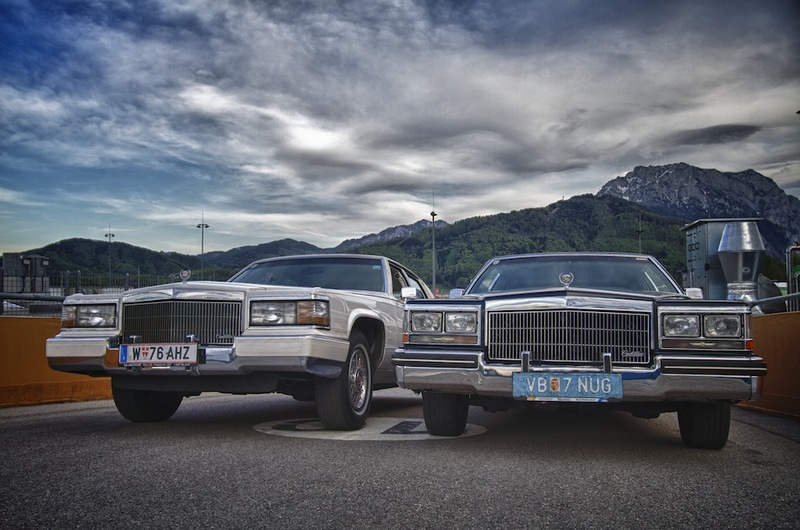 My personal Cadillac highlight 2012 once again was the Cadillac BIG Meet (Europes biggest and best Cadillac Meeting)with some awesome cars attending. 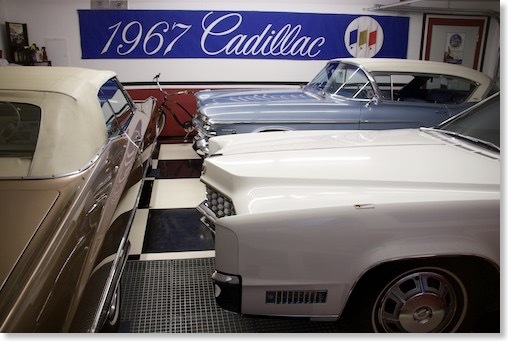 I am already looking forward to the 2014 edition of this Cadillac Meeting. Thanks to everybody for visiting my website and for all the nice comments I got and the people I “met“ through your comments and messages! 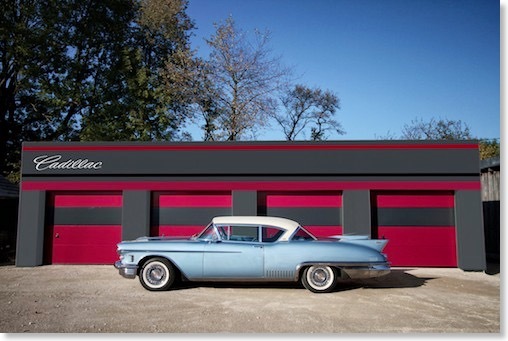 I´ll be back in spring 2013 with my first new updates for 2013 to my website. I have so many cool things planned and I hope that I can make all plans come true. 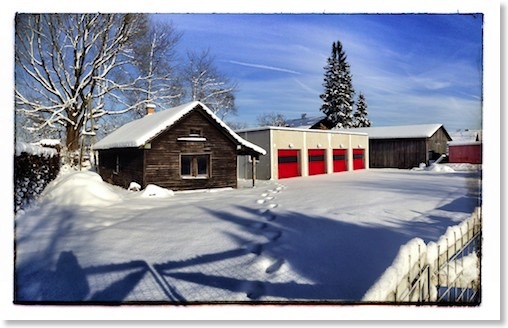 My unfinished new Cadillac Garage project in the snow…. 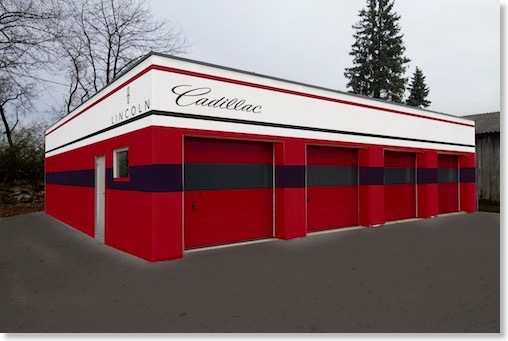 As the new garage I´m building is almost ready to be painted, I made some drafts how it could look like once its painted. My friend Mike had the idea for one of the paint designs. Thanks Mike! 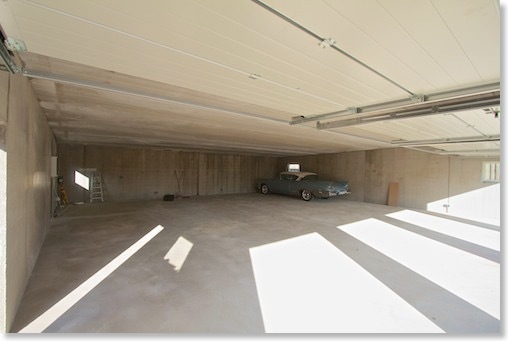 You can see the status of the work in the garage in this gallery with hundreds of pictures of the build. … the more elegant version? 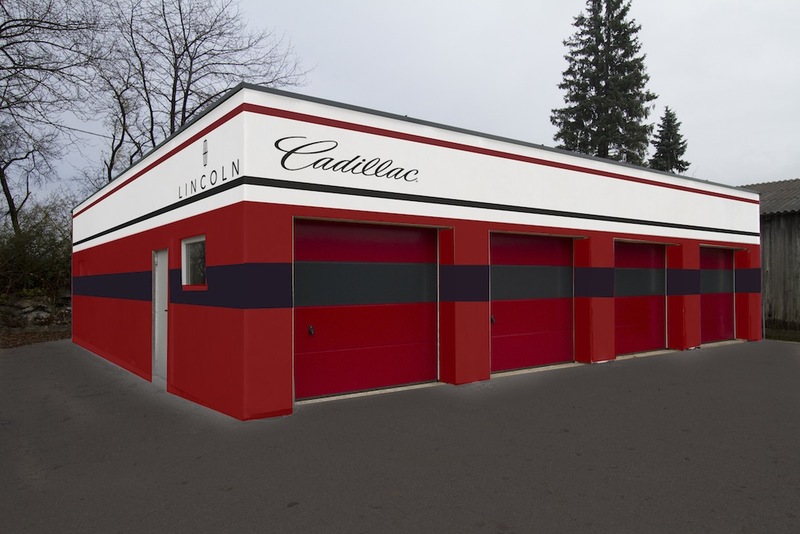 Building a new Cadillac garage! 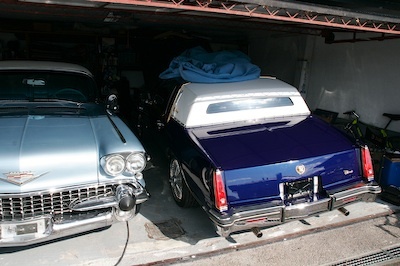 As I ran out of space to store all my cars at home - work for my new Cadillac garage began today! 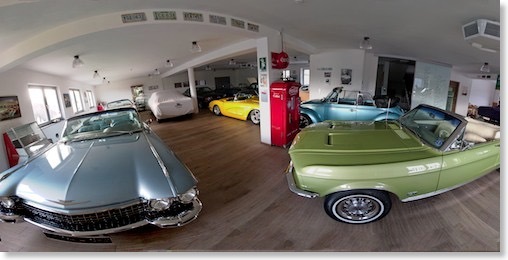 I will use 3 spaces in it for myself - the rest will be for rent for fellow classic car owners. 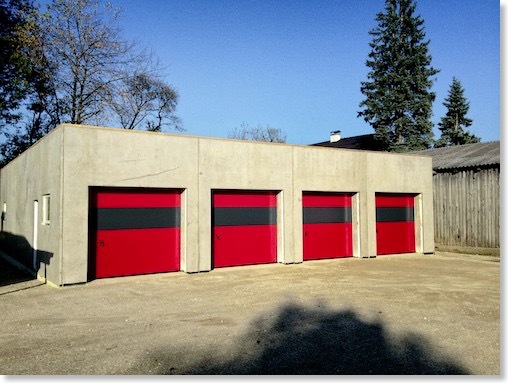 The new garage is located only a few minutes away from my house in a good neighborhood, with friendly neighbors who will keep an eye on whats going on there. Today we had to cut down some trees to make room for the building. During the next days the property will get cleared and grubbed before the foundation will be laid next week. 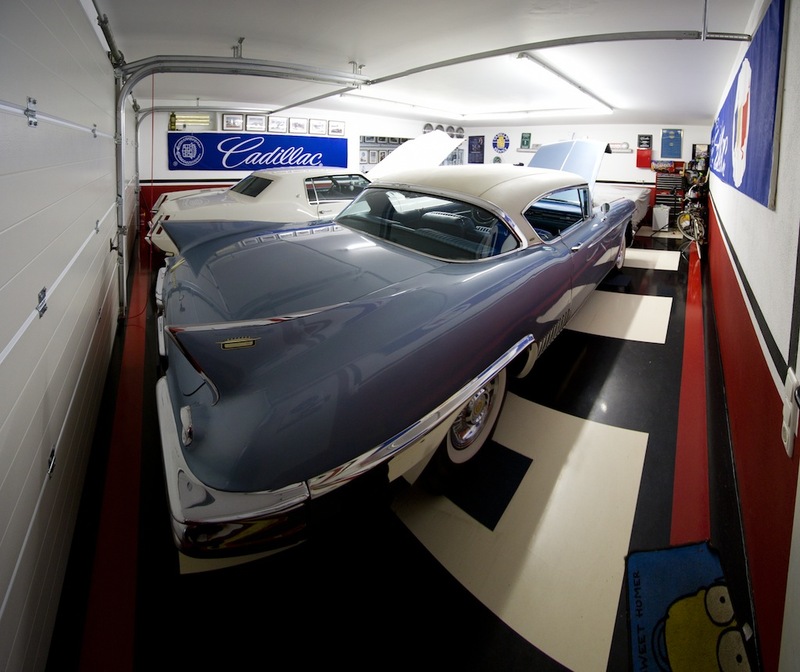 The plan is to have everything finished by mid October so that the cars will have a new home before next winter. during the last few weeks we made really good progress on the building - check out the pictures to see the current status. 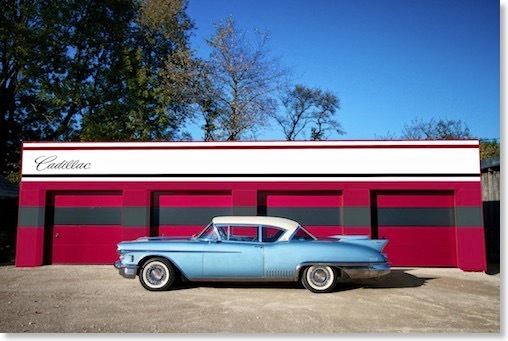 New great Cadillac garage decoration. 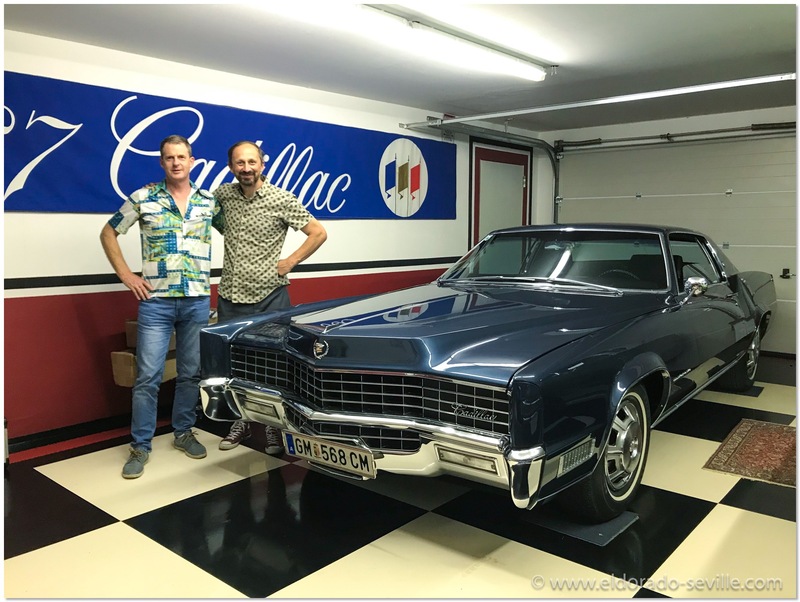 Through the help of a Belgian Cadillac friend I was put in contact with a gentleman in the Netherlands who had two Cadillac light boxes from a former Cadillac dealer for sale. 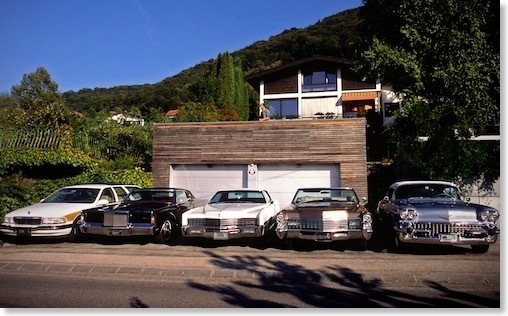 He sold them pretty cheaply - so I thought it would be a great addition for my garage as decoration item. Shipping them was not so easy. Nevertheless they look great and will eventually be hung in my planned new Cadillac garage. 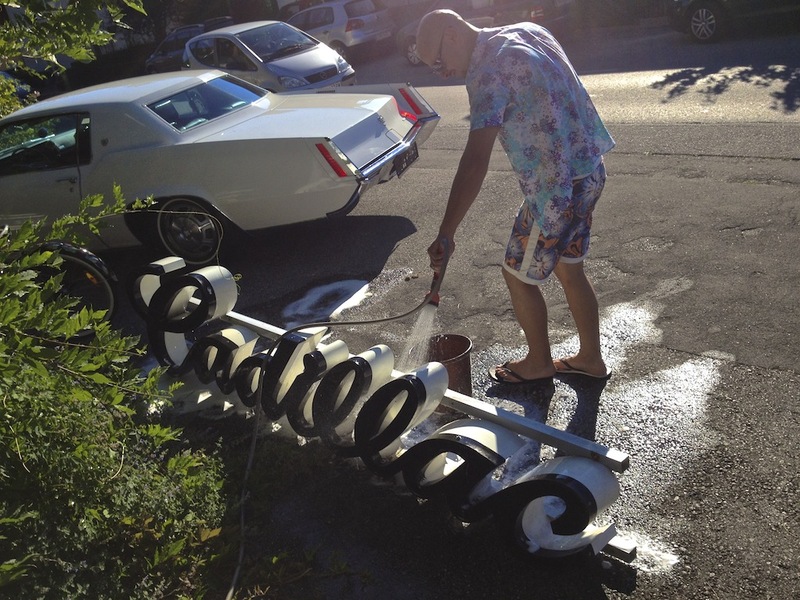 My friend Tayfun helped me clean the new decoration. After some work they looked like new! 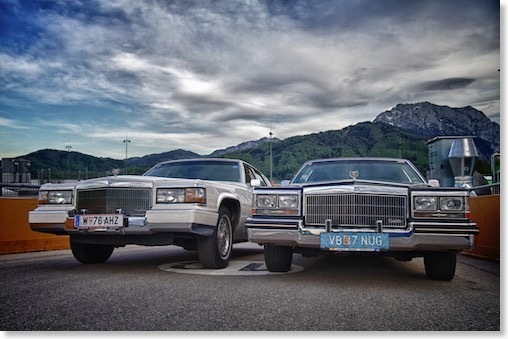 My friends Mike and Tayfun both own a Cadillac Brougham. 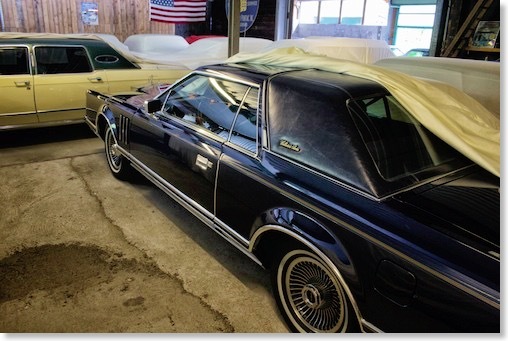 Mike owned a 1986 Brougham Coupé and Tayfun is the owner of a 1990 Brougham D´Elegance. 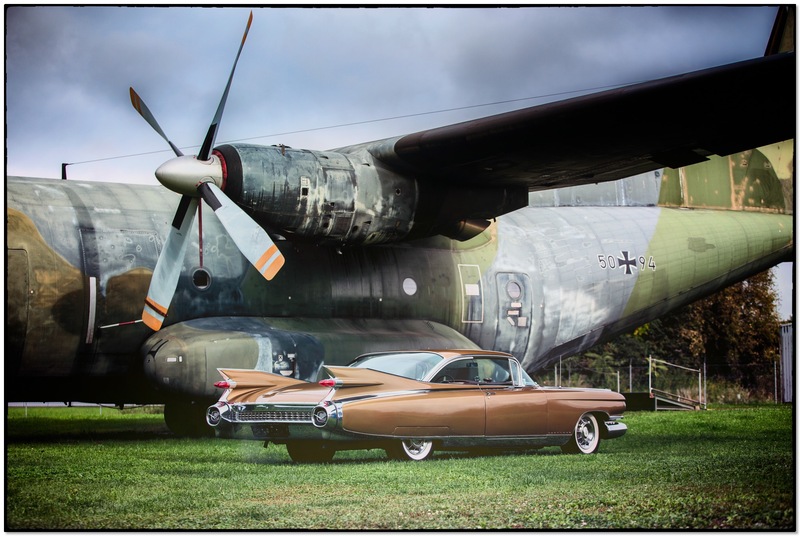 As both of them were in town we made a little photo shooting with their cars. I will post a link to the images here eventually. This summer my wife and I were asked to shoot a film about the Austrian Mopar Nationals. A DVD with the film we shot is now available from the organizer of the meeting, and here you can find a trailer for the DVD we produced. 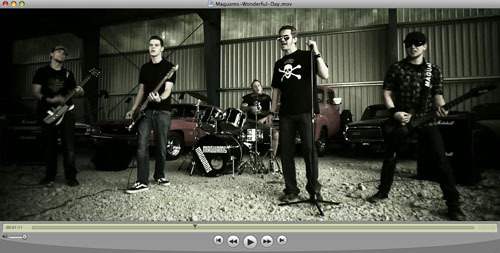 We had quite some fun shooting this video. 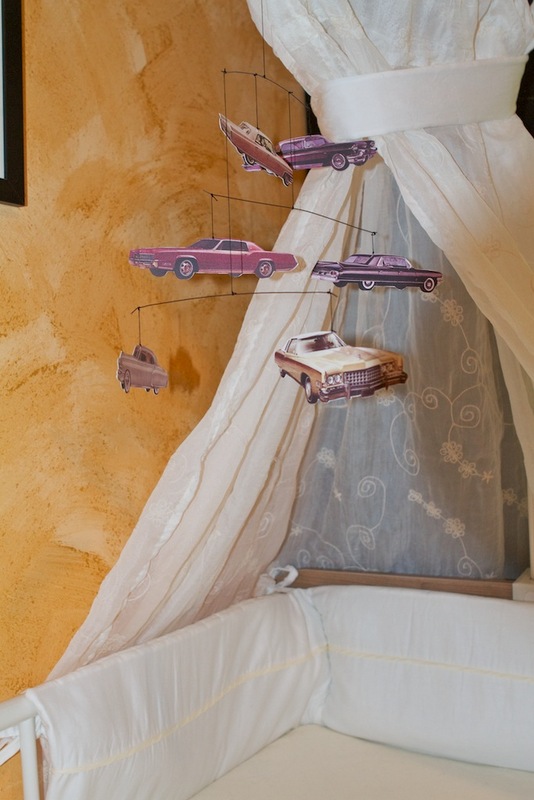 We really like to do such fun projects from time to time. 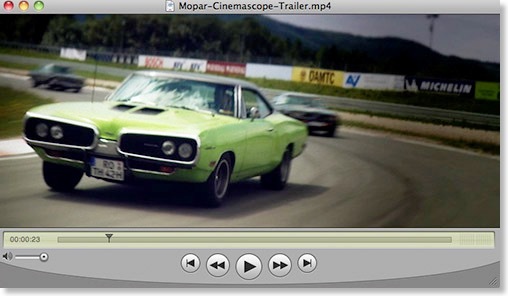 Austrian Mopar Nationals 2011 - DVD Trailer from Mr Cadillac on Vimeo. 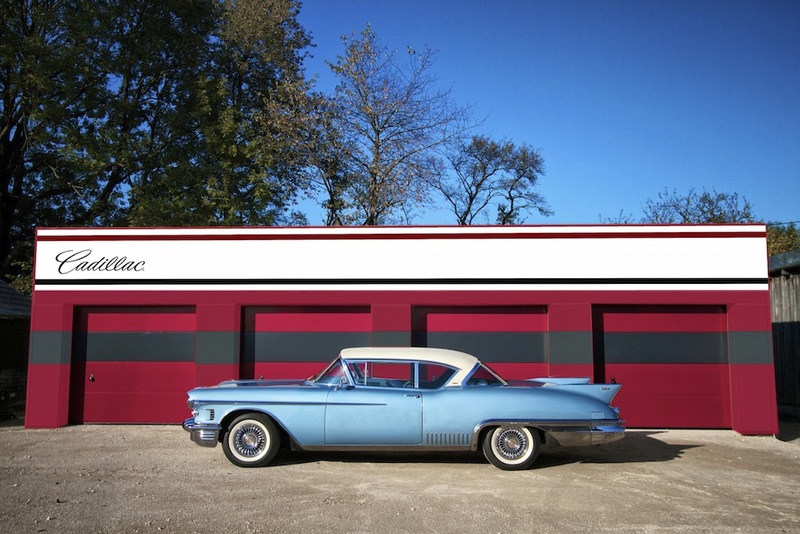 I put my 1958 Cadillac Eldorado Seville into winter storage today. 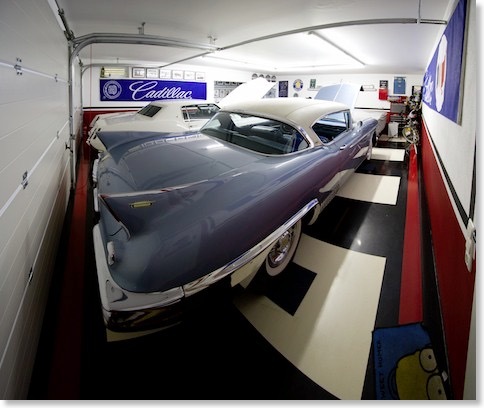 As I ran out of garage space and have not found a solution for my storage problem yet, my friend Christian was so kind to offer me a cosy place in his AWESOME garage to store the 58 over the winter. 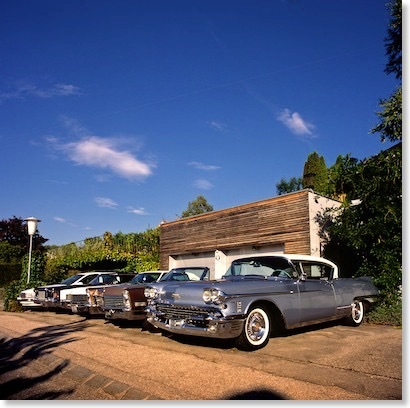 So I drove my car to him today and enjoyed the 75 mile trip to his garage, as we had a warm and sunny autumn day. 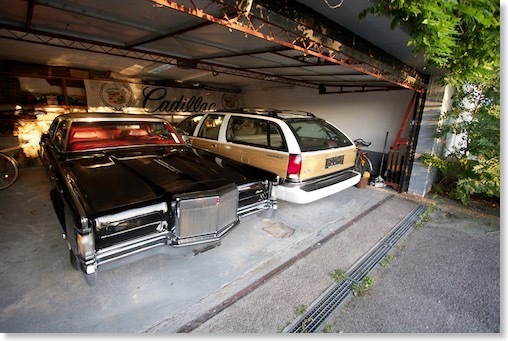 I´m glad that my 58 can spend the winter there, while my other cars are safely put away in my crowded garage. I really want to thank Christian for his generous offer!!!! 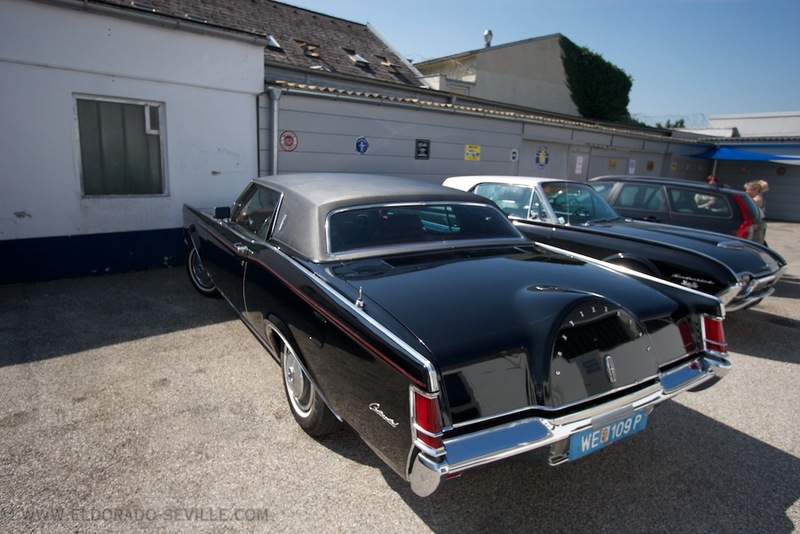 Below you can see some pictures I took on my last ride with the 58 in 2011. 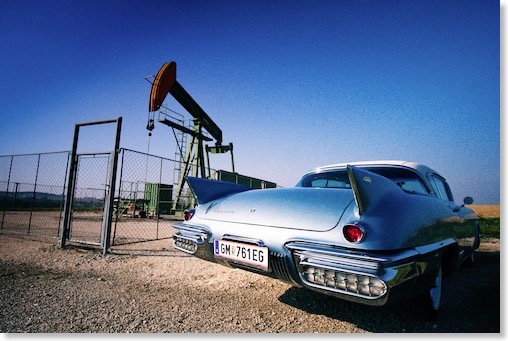 Good night my dear 58 - see you in May 2012. 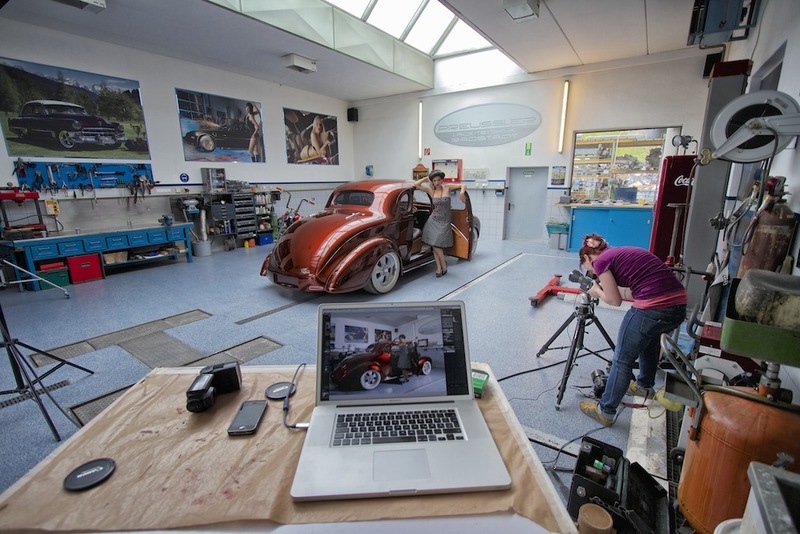 We had a short photo shooting with my cars today. My wife shot a roll of good old medium format slide film through her good old Hasselblad camera. 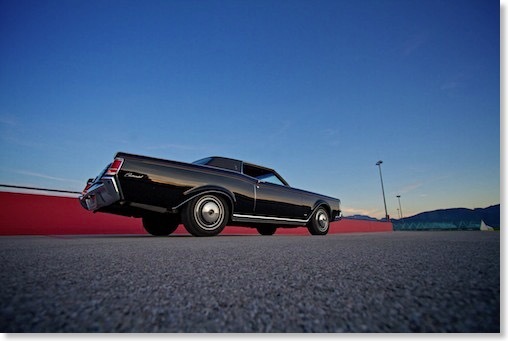 You can find the image gallery with the best pictures from this shooting here. 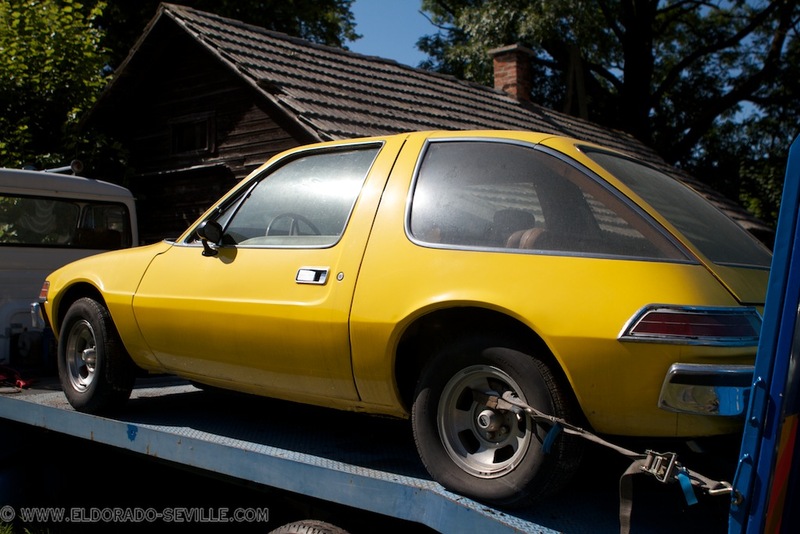 Not in the pictures is my AMC-Pacer which is not running at the moment. My wife and I did a quick photo shooting of the Mark III today. As we shot the pictures on good old analog medium format slide film it will take a while to have the film developed and scanned. I will post the pictures here as soon as they are available. 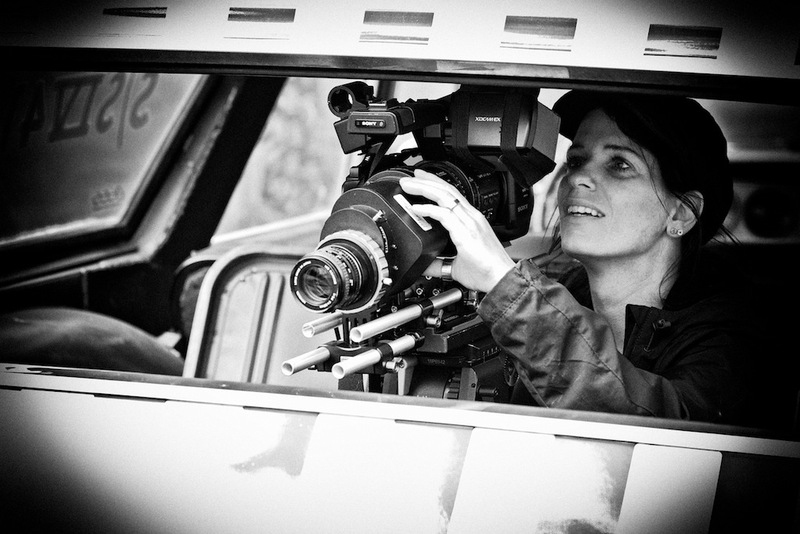 Below you can see a few digital ones we also shot. 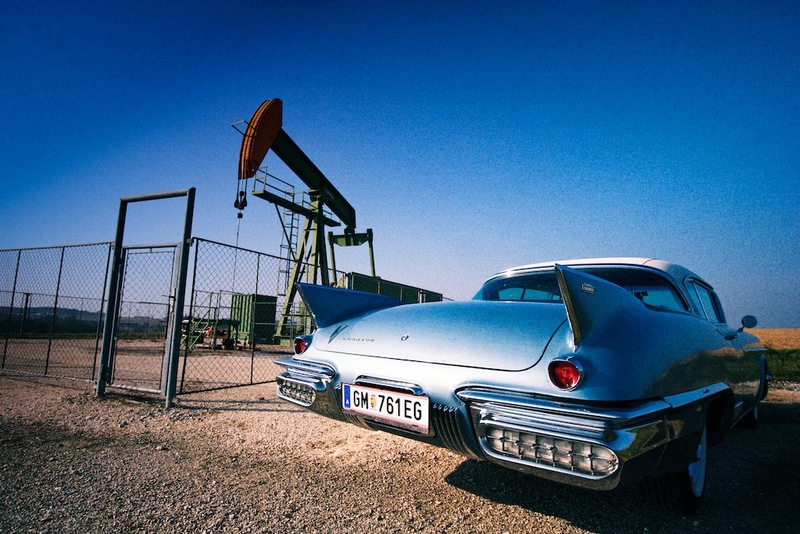 I got a call from national Austrian television that they would like to do a short report for the upcoming Cadillac BIG Meet at the Kremsegg castle. 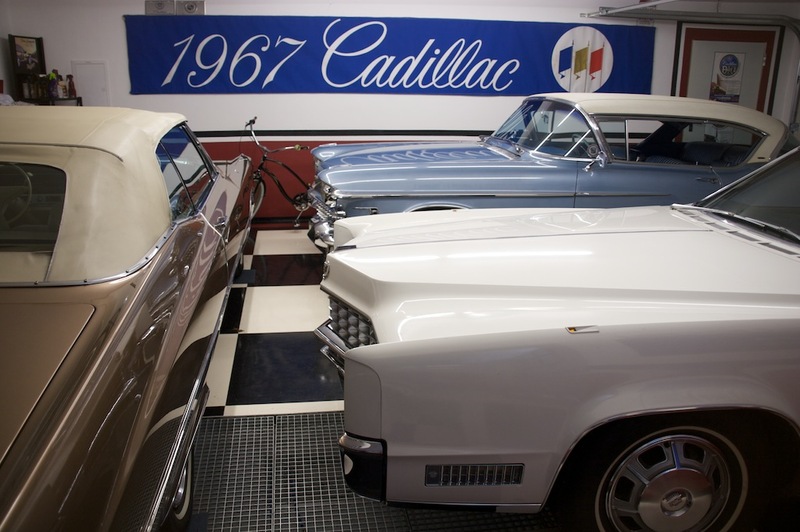 They needed some Cadillacs there to do some interviews and to shoot some footage to promote our upcoming event. Of course we had to use this chance to promote our show on air. 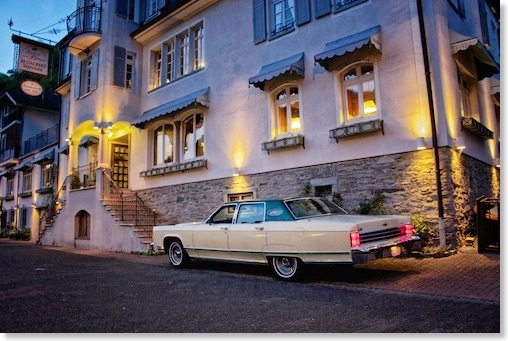 My friends Christl, Christian and Willi and I made it there with our cars, on what must have been the hottest day this summer, and we could do the shooting for a 2 Minute piece at the Kremsegg castle. We had Cary Grants former 1960 Eldorado Biarritz there, which now belongs to my friend Christian, which was the star of the report. The report aired 2 days before our show on national television. 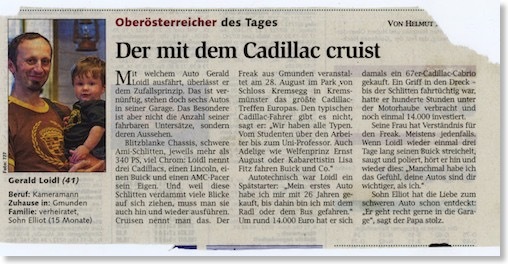 The newspaper “Oberösterreichische Nachrichten“ brought a short article about my hobby in their “Oberösterreicher des Tages“ column (Upper Austrian of the day). 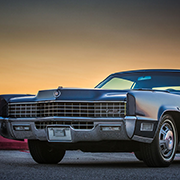 I just wanted to promote the Cadillac BIG Meet and sent them a press release when I got a call and was asked to do an interview with the editor. The article below is what came out - click on the image for a larger view. You can also read the online version here. The Mark III arrived today! 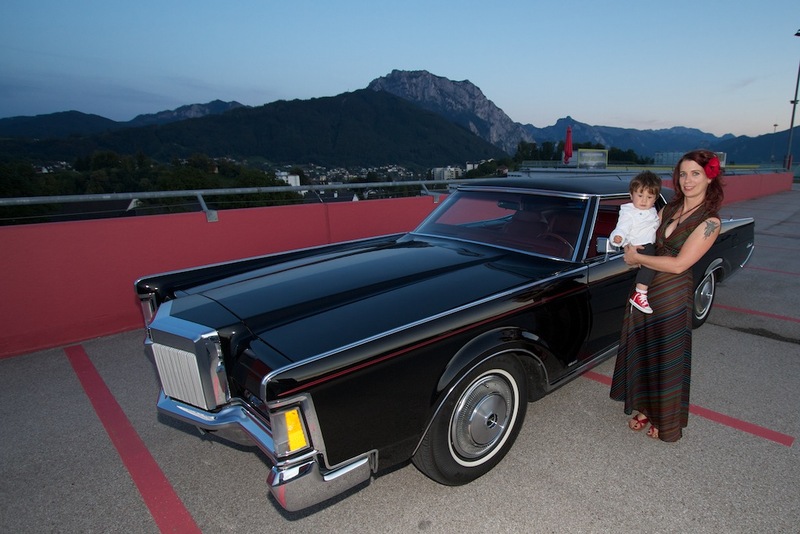 After a - what it felt for me - endless time of waiting it was finally time to welcome my newly acquired 1971 Lincoln Continental Mark III to Austria. It arrived today - very unexpectedly when I got a call from a lady I know who is the manager of local gas station. 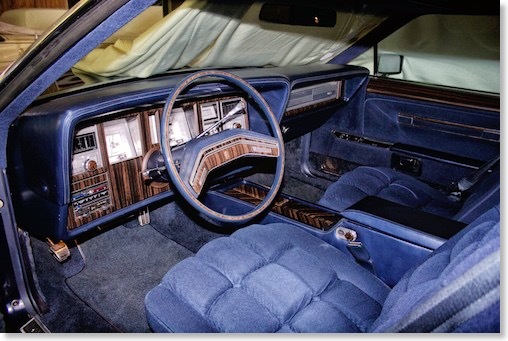 She called me and asked if I would expect a Continental. She explained that a truck just stopped at her gas station to ask for directions to my home. Luckily I was still at home and so I jumped into the car to get to the truck driver and show him where I live, as he did not speak our language at all. I then guided him through town and we started to unload the car close to my home. When the car rolled of the truck I was shocked! The once perfect vinyl roof was badly damaged. 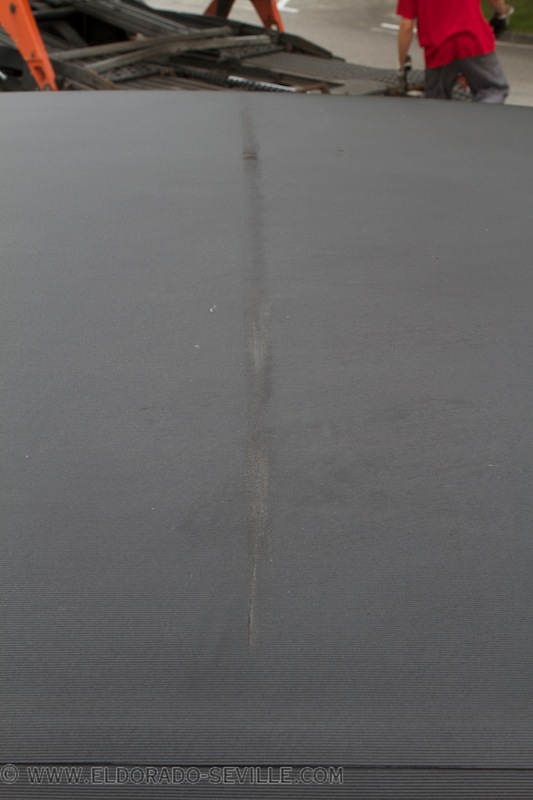 It was immediately clear that it was damaged on the truck of the long journeys last leg. Problem was that I could not really talk to the driver and write something down. I took lots of pictures immediately though. 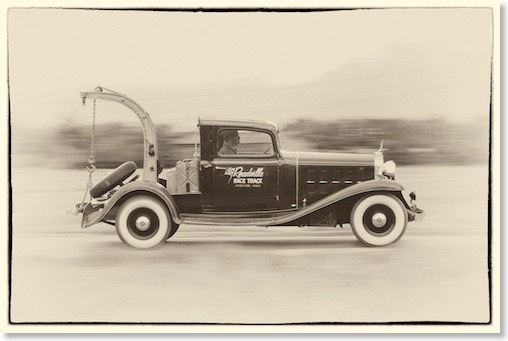 So I called the trucking company and they said that I should send them the pictures. 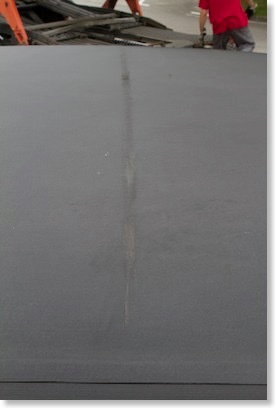 The next day they called and asked why nothing about the damage was written down on the papers when I received the car and that they probably would not pay because of this!!! Looks like I will need a good lawyer now to fight with the insurance company. I got a raw estimate from a good upholstery shop here for the repair which is for 60 hours of work + material. 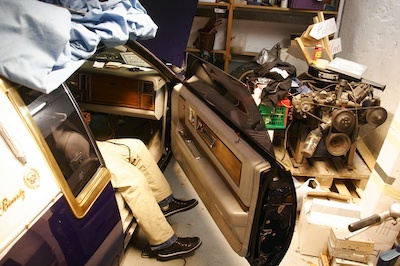 You have to remove almost the entire interior of the Mark III, including the rear window mechanism with the glass and most of the weatherstripping to get access to the fasteners which hold the moldings in place. Most of the plastic fasteners also are no longer available - so you will have to be very careful when you remove them. Besides the damage to the roof during shipment- the car is really nice. It drives beautifully and everything works as it should. 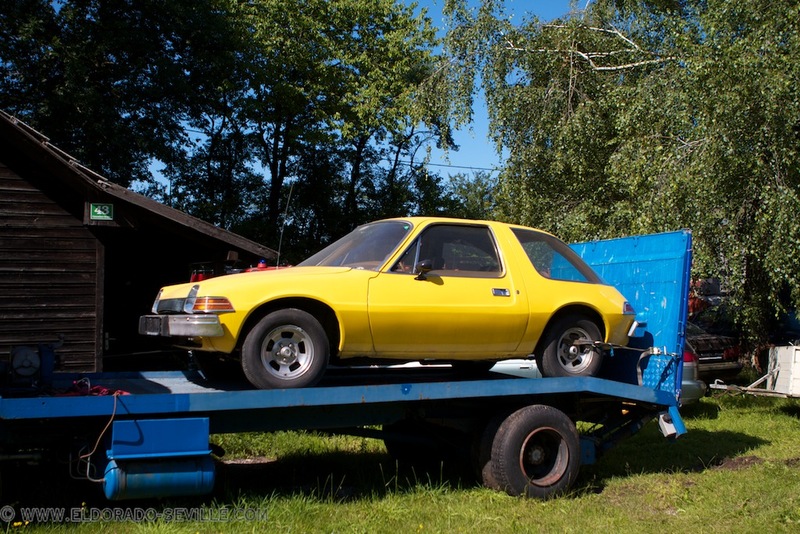 I already delivered the Mark III to my restoration shop to prepare it for the inspection for the Austrian license. We will have to convert the lighting system to go with Austrian law. The first inspection showed that I will also have to install 3 new brake hoses, 2 upper ball joints and both outer tie rods. Got most of the parts already from rockauto.com - only the front brake hoses seem to be difficult to get and very expensive. 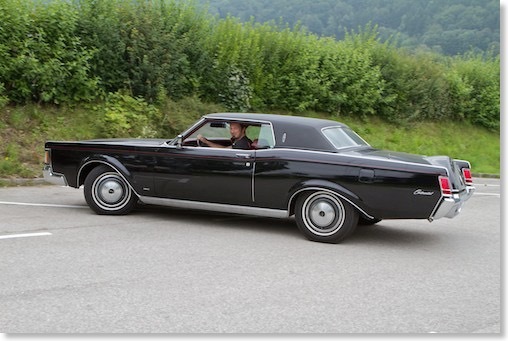 Luckily I found a shop on ebay where they are available for half of the price of what most Lincoln specialists are asking. 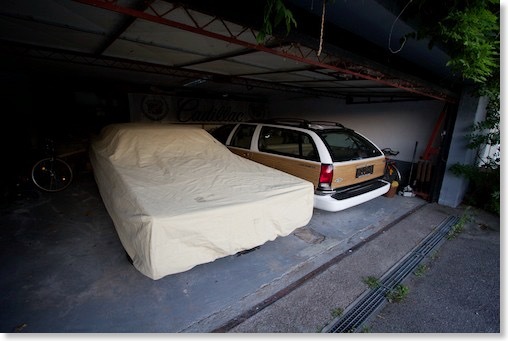 Here are some pictures of when the car arrived - it got extremely dirty from the transport unfortunately. 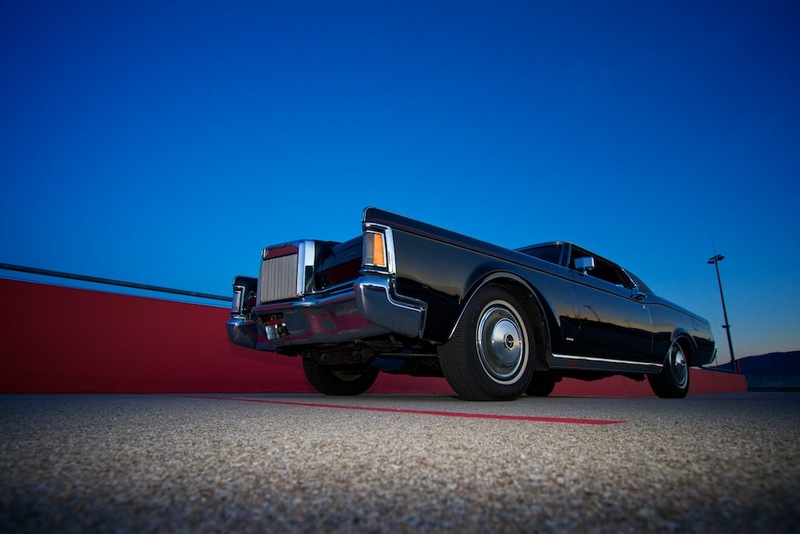 My first ride in the Lincoln. 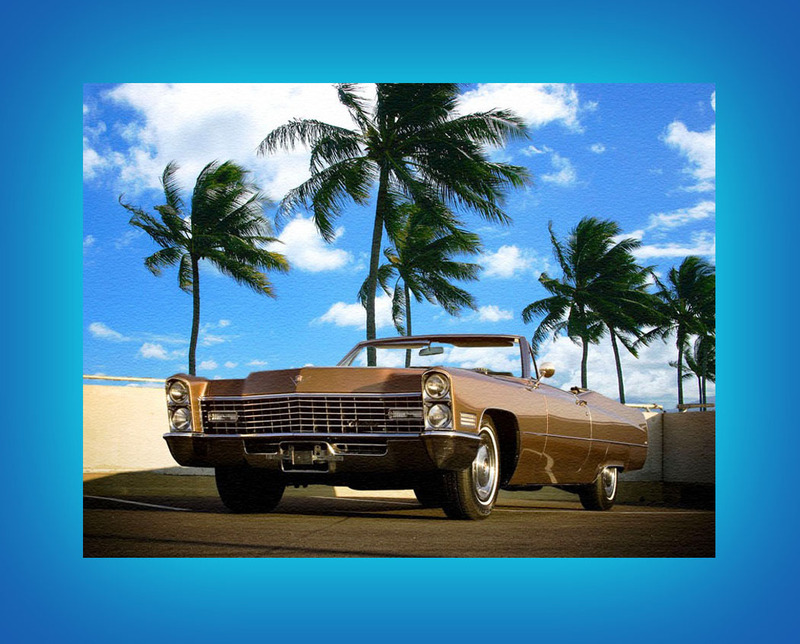 A 1967 Eldorado with sunroof? 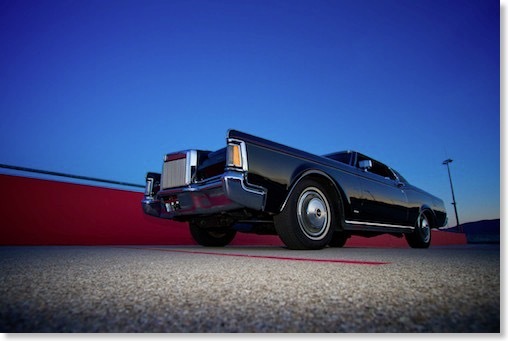 A while ago I was contacted by fellow 67 Eldorado owner Mark Bristol. 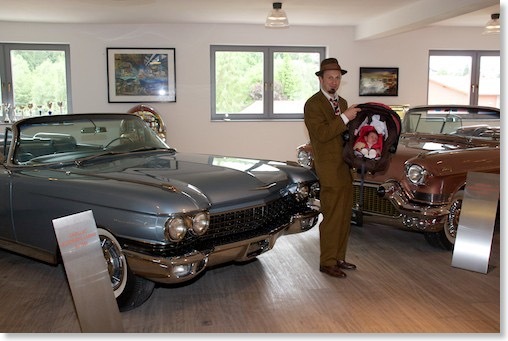 He owns a very rare 1967 Eldorado with a sunroof done by ASC (American Sunroof Company). He asked me if I knew anything about it. 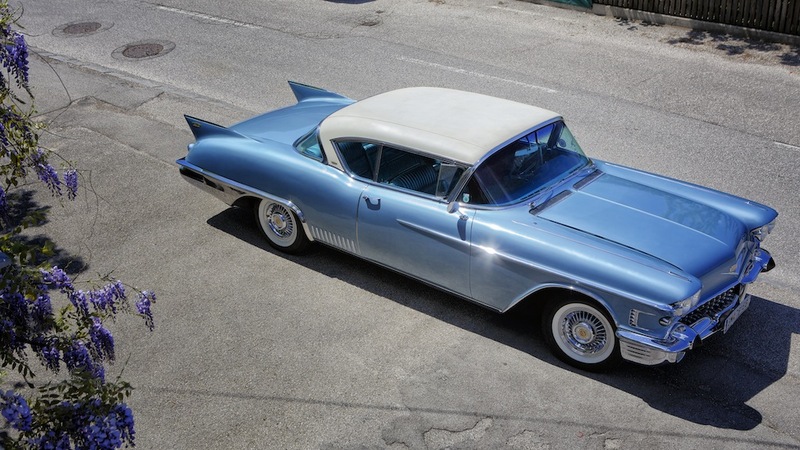 I had never heard anything about a sunroof in a 1967 Eldorado unfortunately, and so I could not help him out with any kind of information. 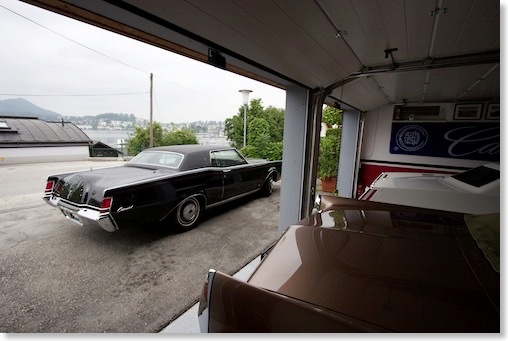 Mark Bristols - Ultra rare 67 Eldorado with sunroof. 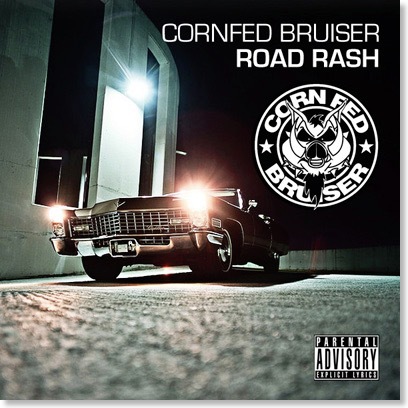 CornFed Bruiser is a four-barrel, full-throttle rock and roll flame-thrower out of Cedar Rapids, Iowa.Congealed from the primordial ooze of the underground dirt-rock scene, the Bruiser combines heavy riff-driven guitars and fat grooves, topped-off by a soul-shredding vocal.Late 2010, CornFed Bruiser set out to record its first EP entitled “Road Rash” scheduled to be released early 2011. 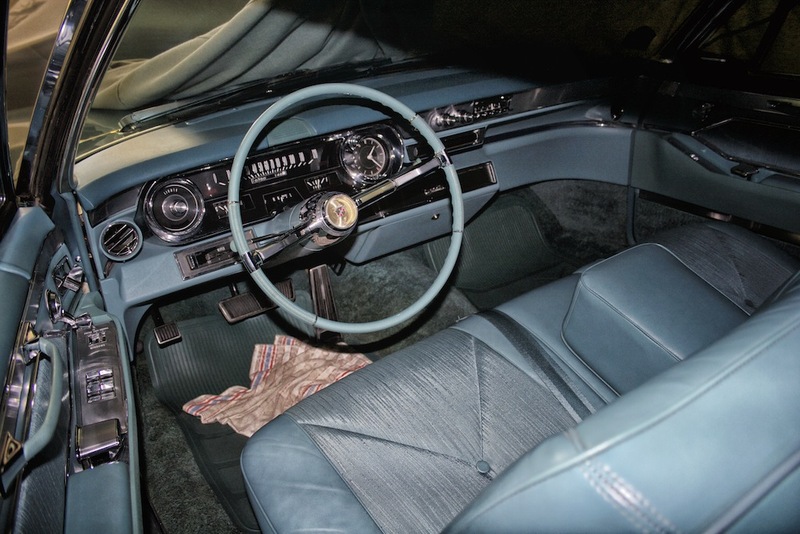 Feature tracks “Road Rash” and “Fu Man” are just two of the tracks that define a new sound with an old school vibe. With a beautiful Cadillac like this on the cover nothing can go wrong ;-) I think it is about the 6th picture that made it on a cover of a CD which I´m all proudly displaying in my garage. 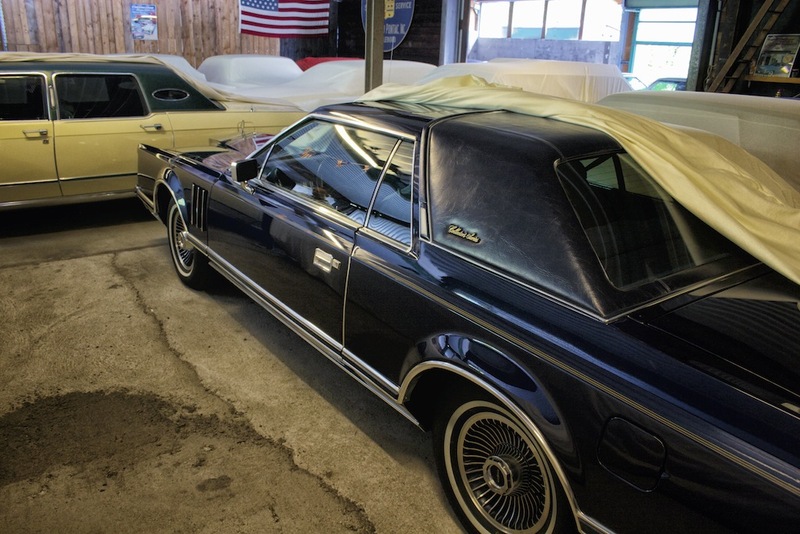 With winter already throwing cold and damp weather against us, the cars are in winter hibernation now and are looking forward to the spring of 2011. They all got an oil change and the tank was filled with fresh fuel to the brim. I cleaned and waxed them, put a thick coat of Gliptone leather conditioner on the leather seats, overinflated the tires and put their soft and warm covers on them. 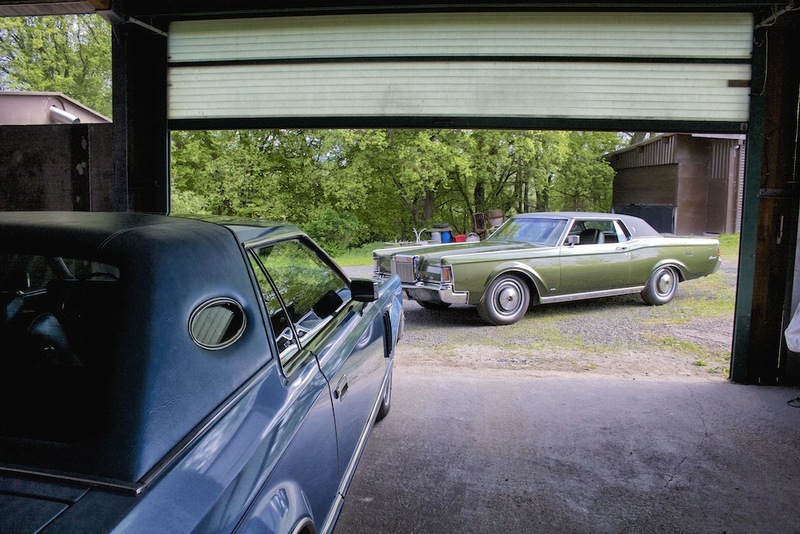 There is not much to do during the winter months while they are stuffed into the cosy and dry garage. 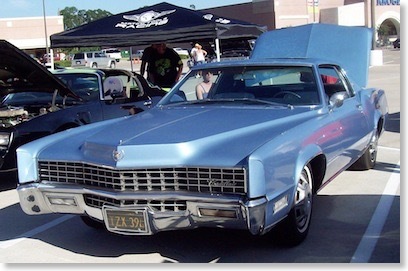 I will eventually put some new rear shocks and front wheel bearings on the 67 DeVille, do some minor detailing work like putting on some new decals in the engine bay and try to safe as much money as I can, to hopefully be able to afford a new concourse grade paint job for the 1967 Eldorado next fall. 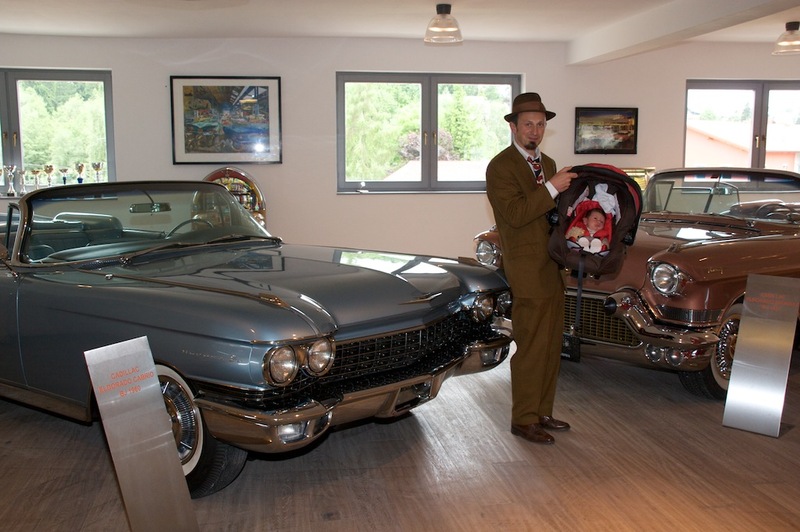 This season I did not drive my Cadillacs very much - all in all a tank of fuel on every car... We had a very wet summer, my job was very demanding and our baby son Elliot was born in May, so I did not have much time to enjoy my cars as much as I would have liked. 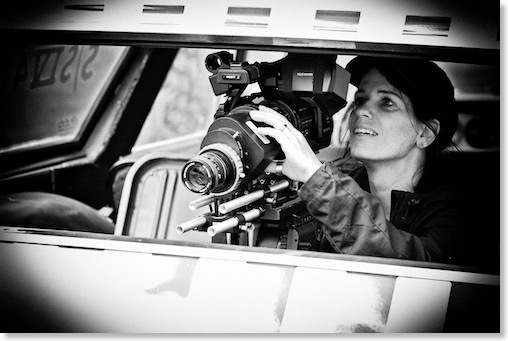 Looking forward to the 2011 season with some great shows coming up. 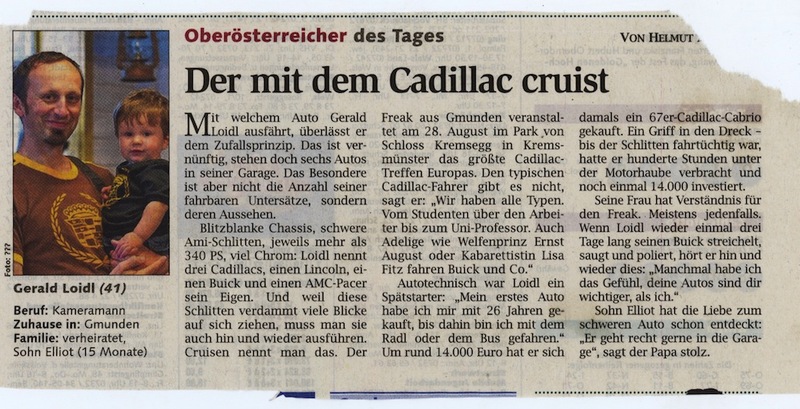 In June 2011 the US-CAR-SHOW Dornbirn will be held again and of course the Cadillac BIG Meet on August 28th 2011 will be my personal Cadillac highlight again. 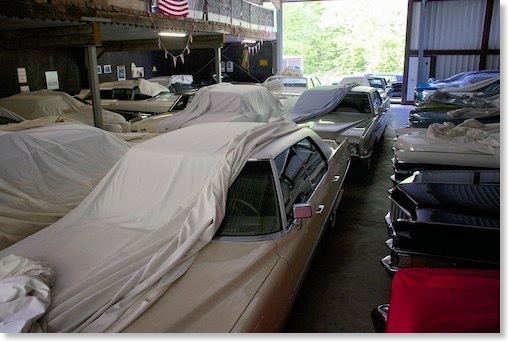 The cars are in storage now - a picture before they were covered. 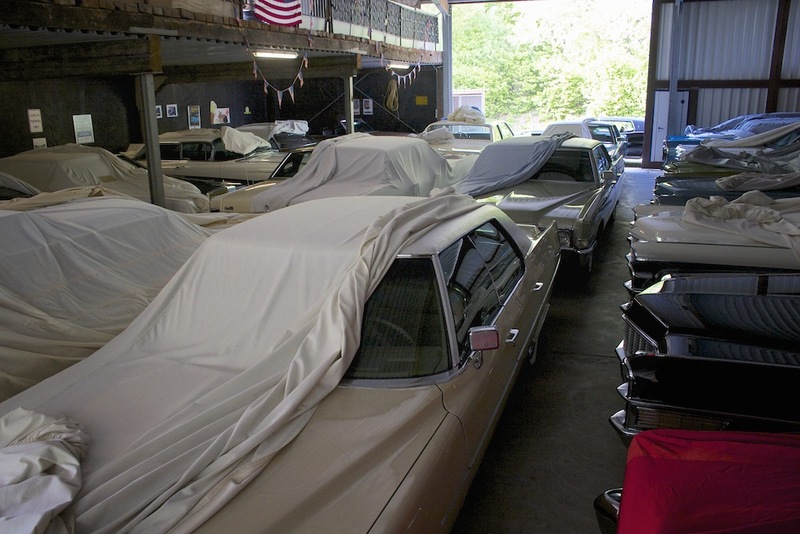 The cars are in storage now - a picture before they were covered. Sleep well! 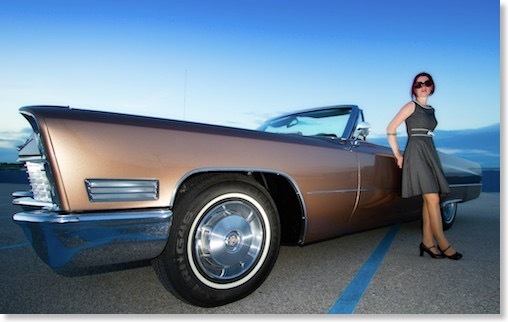 My wife and I used one of the last beautiful evenings this year for a photo-shooting before the 67 DeVille goes back into storage. 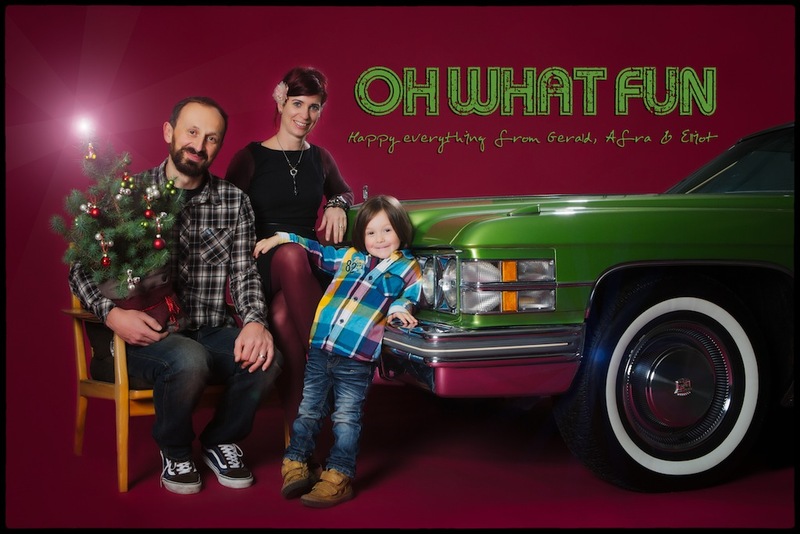 We took our baby son Elliot with us to get some nice pictures with him, his mom and the 67 DeVille. Click on the image below to go to the photo gallery with more pictures. 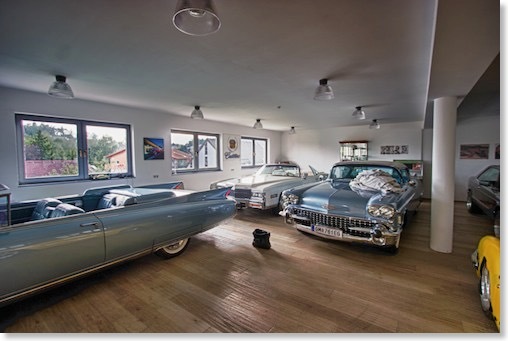 He made his dream come true and built an awesome home for his car collection including a private dinner below the garage. The whole building is just amazing. On his 50th birthday he invited some friends for the grand opening of his new building. Congratulations Christian!!! 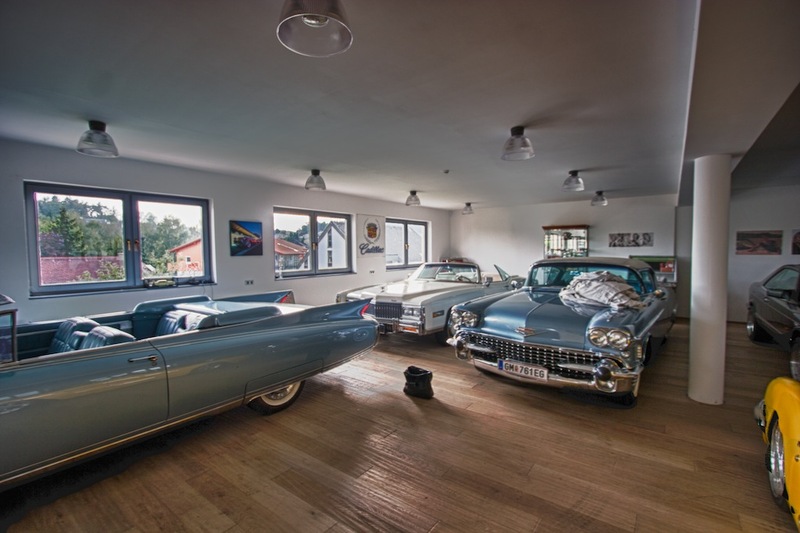 He built the whole garage including the diner with his own hands with the help of his family - an enormous task, and perfectly executed. 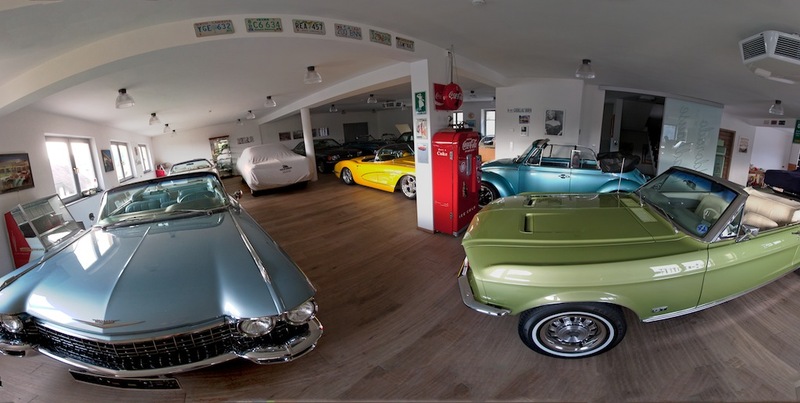 A panoramic picture showing his showroom - the cars and the building are just spectacular! The private diner below the garage. 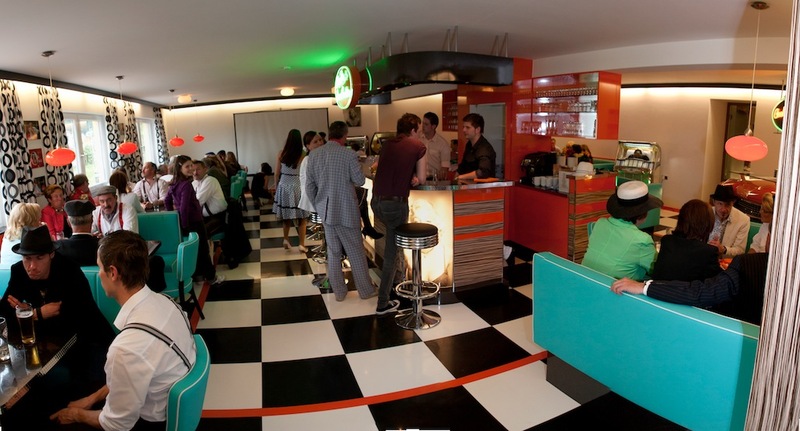 the birthday party had a 50’s theme - so we dressed up accordingly. Elliot was only 3 weeks on this picture. It´s a boy! Welcome Elliot! Our son Elliot was born on May 15th! Mum and the boy are both healthy and everything is fine! 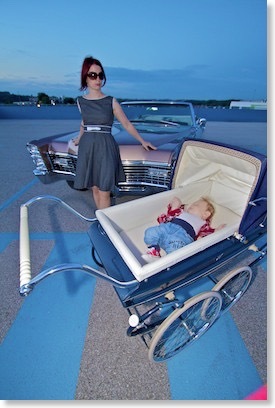 Of course his first trip in a car was in a Cadillac - I used the 1967 Eldorado to drive him home from the hospital. 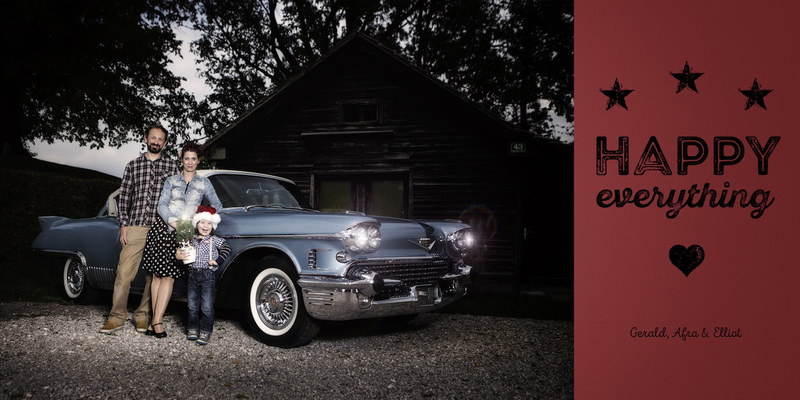 You can´t start early enough with the Cadillac education! 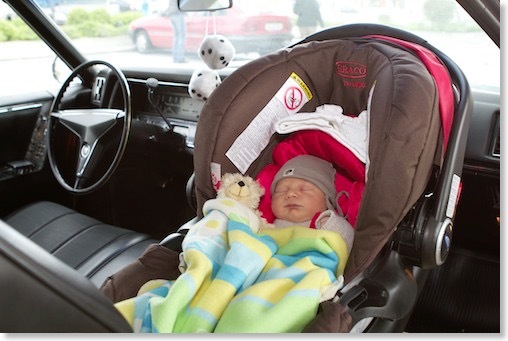 Our son Elliot on the way home from the hospital in Cadillac style! 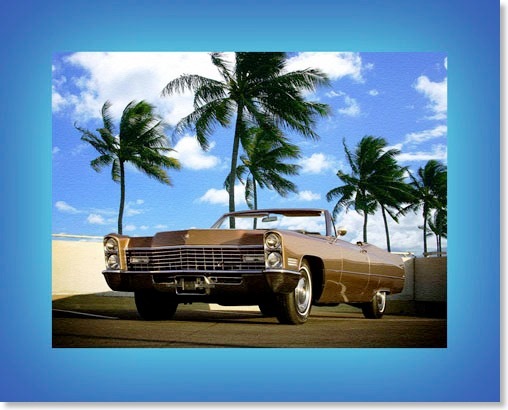 And here is the picture he sent - my 67 under palm trees, something I have never seen before as those huge palm trees are not existent over here in Austria! What a cool photoshop creation and idea - Thanks Scott! While my wife and I were on holidays in Vorarlberg, we shot this music video for the local band “MAGUAMS” where my wifes cousin played bass. 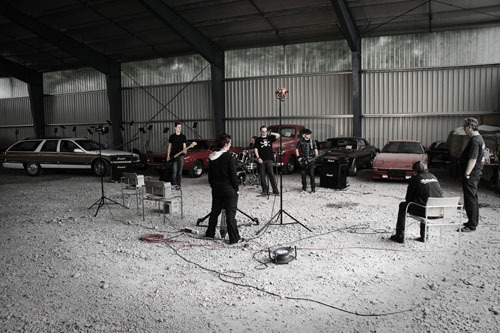 We shot this “no budget“-production on a rainy sunday morning in a storage facility - the cars in the background were the perfect backdrop for the band. The musicians are a great bunch of guys and we had lots of fun during the shoot. 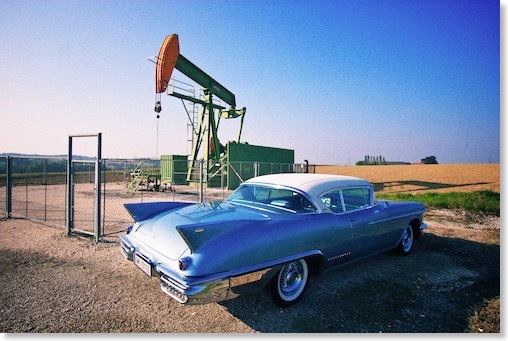 Our Buick Roadmaster also served as a background props for the shooting - thats why I´m posting this video on my website. 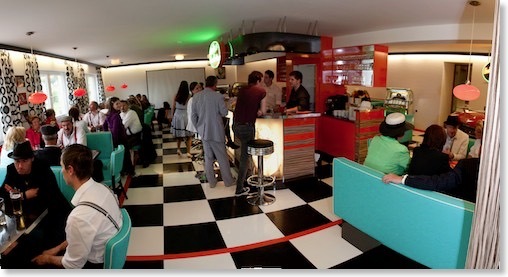 Oilers 69 - The coolest Diner of them all! When driving home from our holiday we found the best diner I ever saw before. 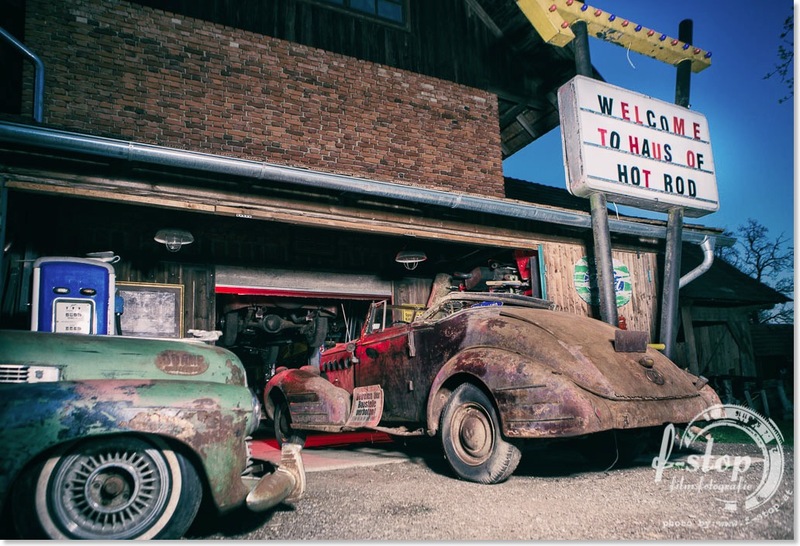 The owner took care of every little detail, like a working V8 at the bar, lots of old cars on the outside, a pickup truck as salad bar and much, much more. I have added a gallery with some pictures - check it out! 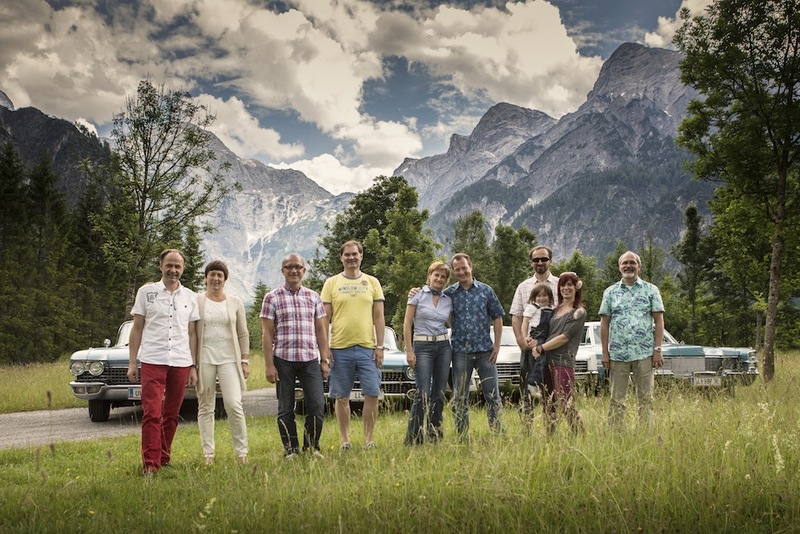 Check it out if you are near Innsbruck in Tirol/Austria! 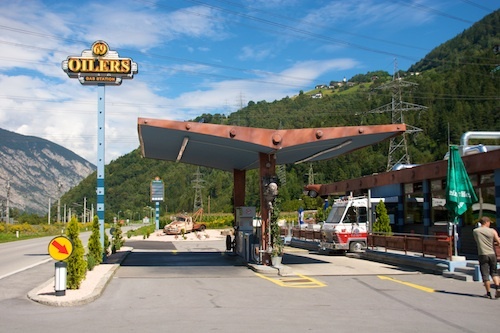 The “Oilers69” in Tirol - click to go to the gallery! 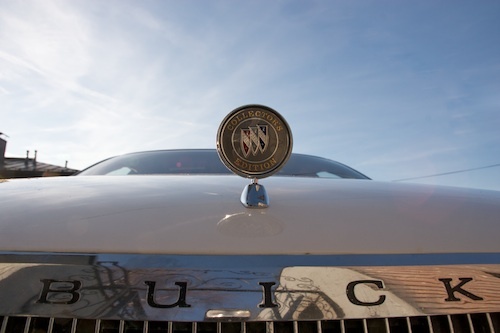 Finally, after 2 1/2 months in the shop we got the Buick back yesterday. The shop had problems locating all the parts for the rebuild. As I lost patience and they still could not find the parts, eventually I found the parts myself without a problem. Anyway, the car now is back home in the garage and drives beautifully again. 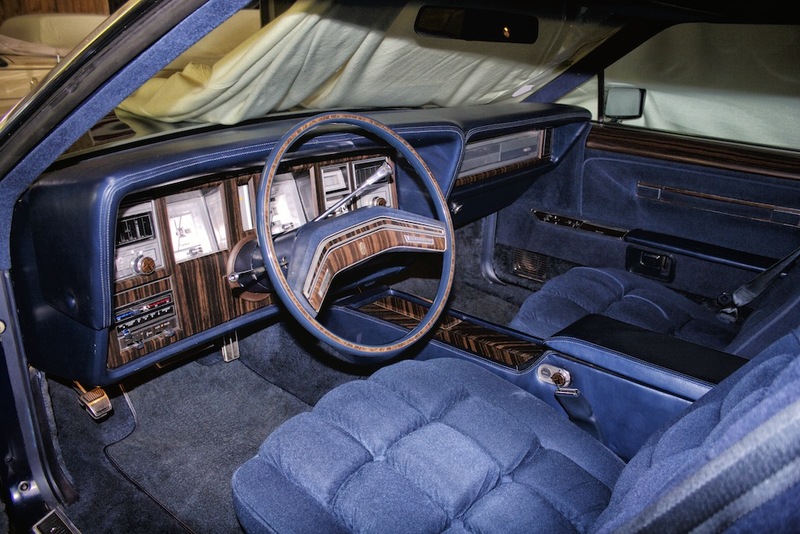 The transmission was completely rebuilt, including all internal parts. we could follow the repair on the webcam of the car dealer - this is a screenshot of the final day. My wife and I were on the way into our holidays. 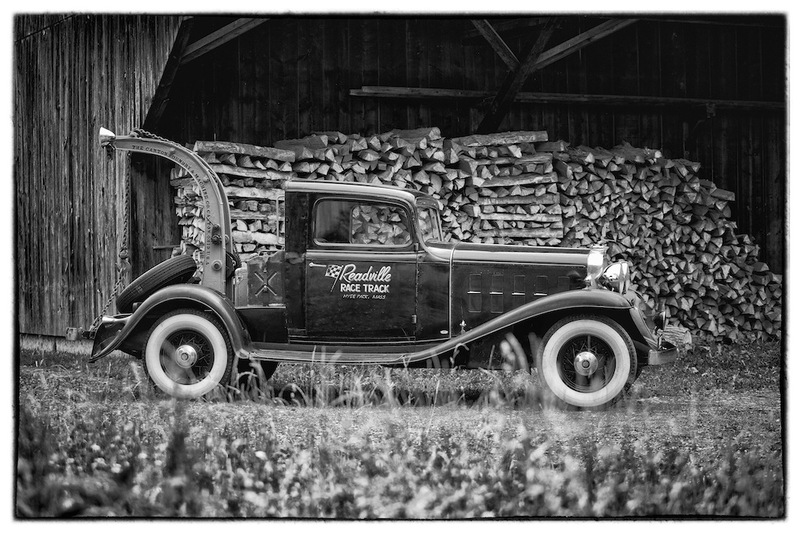 Of course we took our Roadmaster for the roadtrip. 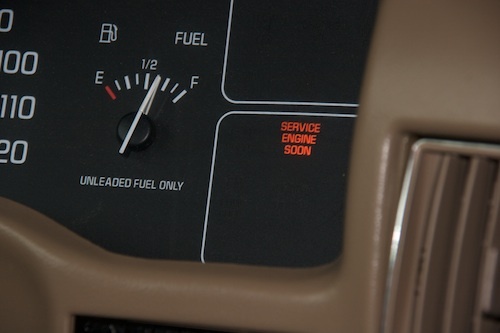 Suddenly the "Service Engine Soon" lamp came on while driving on the highway. 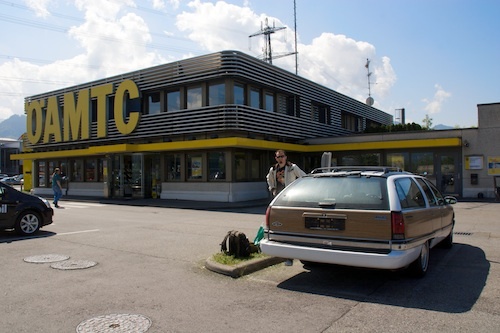 UPDATE: In the meantime a transmission specialist took over my car and is completely rebuilding the transmission now... At least I´ll have a like new transmission! 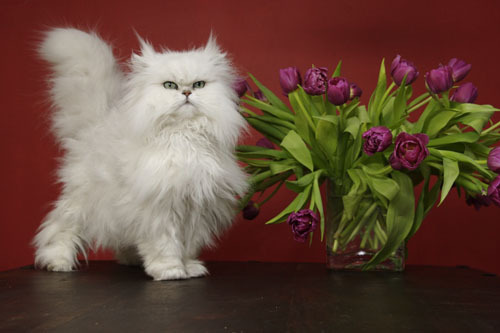 delivering the car at the national automobile club "ÖAMTC"
Our beloved cat "Max" passed away today at only 9 years of age. He suffered from an aggressive tumor. As we had springlike temperatures today in the middle of winter, I decided to wake my cars from hibernation and drive them around the block. 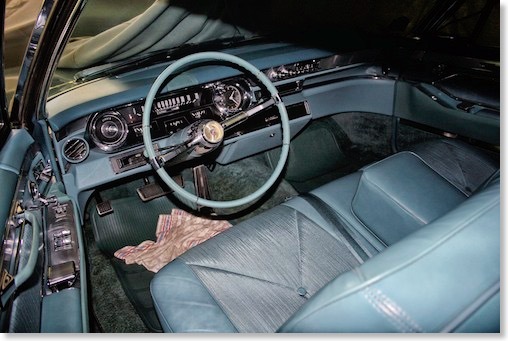 I put the batteries in only to find out that the one from the 67 was quite empty and the car would not start. I wanted to charge it with a battery charger but it also quit working... So I had to use jumper cables and eventually I could start the 67. 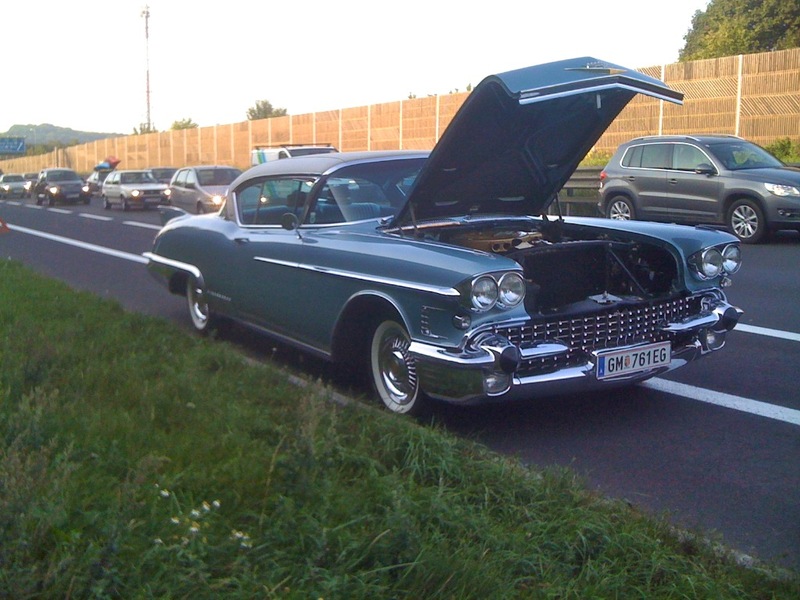 The 58 also had problems starting up as the fuel pump needs to be replaced. I already have a new one lying around which I will install soon. After some cranking the 58 came back to life and ran beautifully. 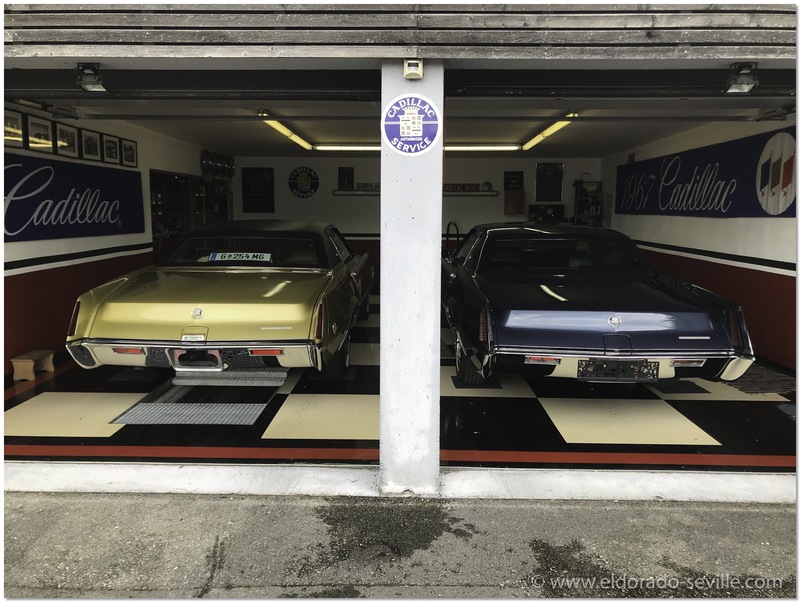 I took all the cars for a quick spin around the block and after they were fully warmed up they went back into storage for about 6-8 more weeks. Can´t wait for spring to come! 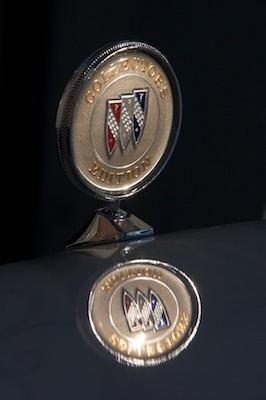 I also installed a new hood emblem on our 96 Roadmaster as a wrong one was on the car when we bought it. 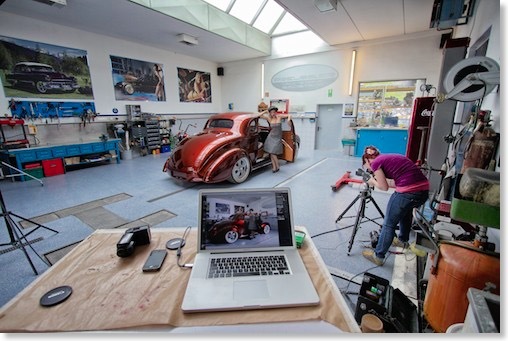 It was great to work on the cars again. 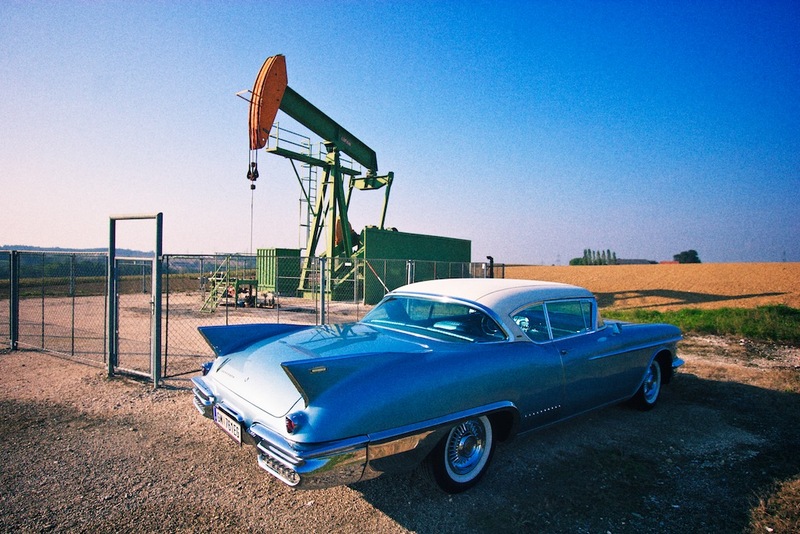 Today the 58 got a brand new fuel pump. It was a really quick and easy exchange and it now works flawlessly. It was the first time I had to do a repair like this. Luckily the pump is very easy accessible on the 58. 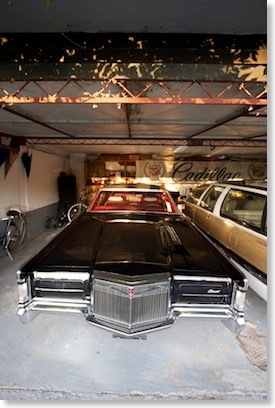 Later we also did some more repairs on my friend Tayfuns 81 Eldorado. 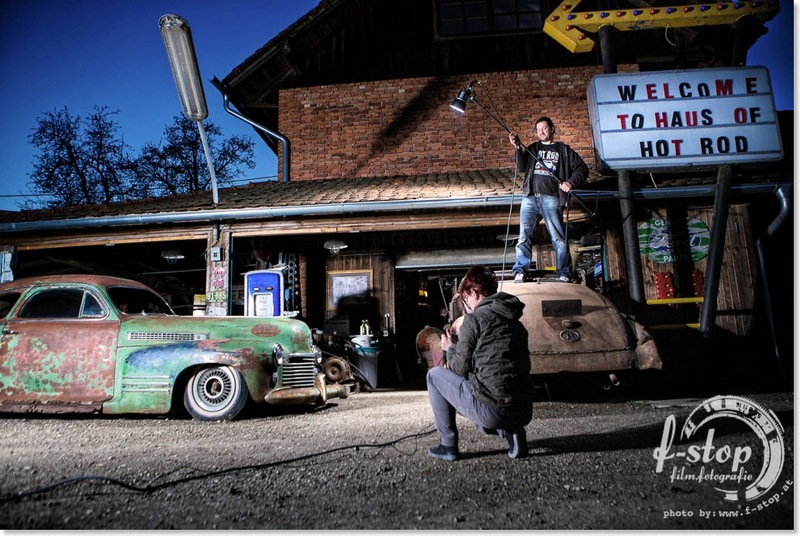 After that we had a nice cruising evening with some friends where we did some professional filming for our next video. 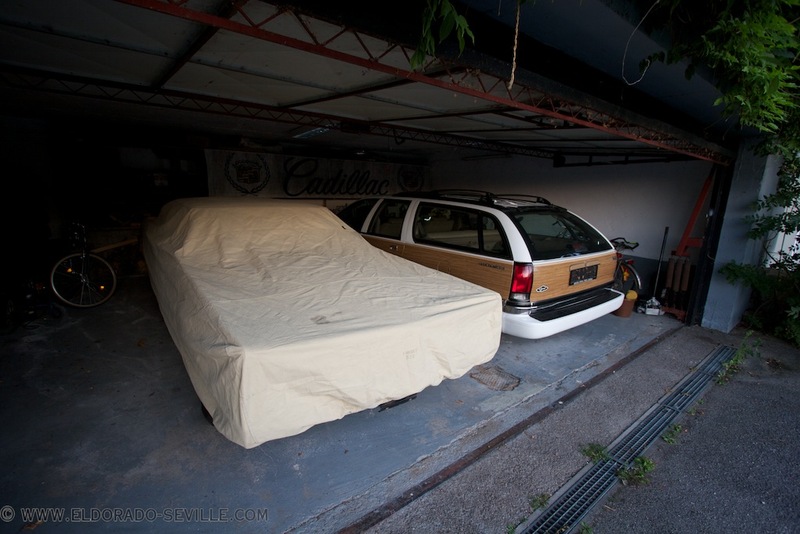 My friend Tayfun was on visit once again for a couple of days which we spent in the garage. We finally managed to fix the problem with the ECM and sorted out most other issues. Another big point was the total rebuild of his rear brakes which worked out fine as well. Over the last 6 month we could fix 35 points on the repair checklist. 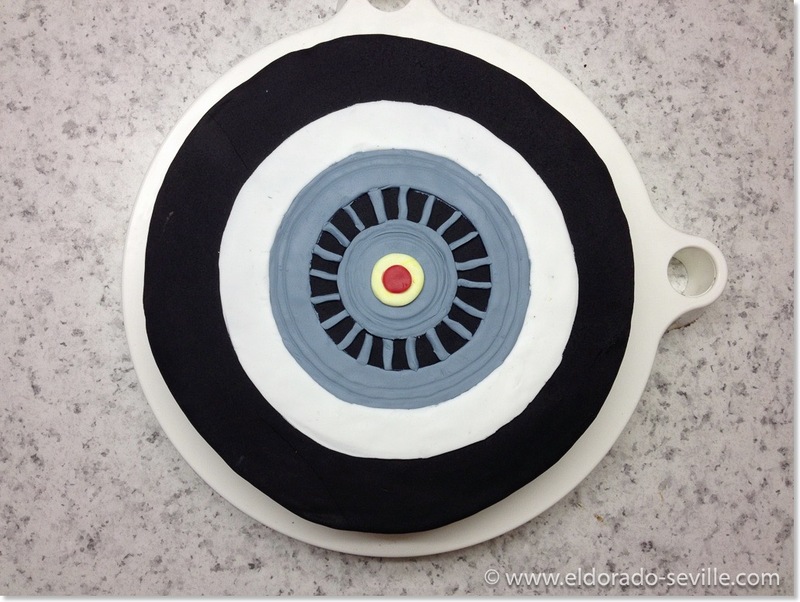 Now there are only 11 points left which need some attention - but no more severe repairs - only a couple of details. Tayfun is happy that after owning the car for over 11 years he finally fixed the electronic issues. 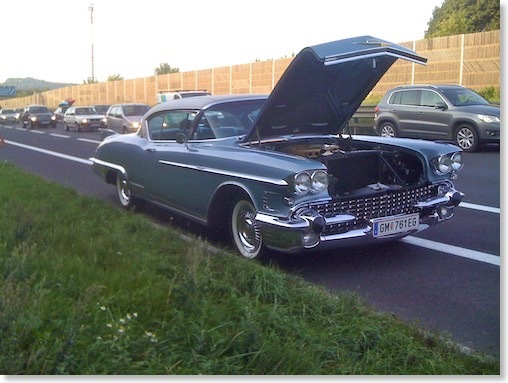 His Eldorado will be like new soon! 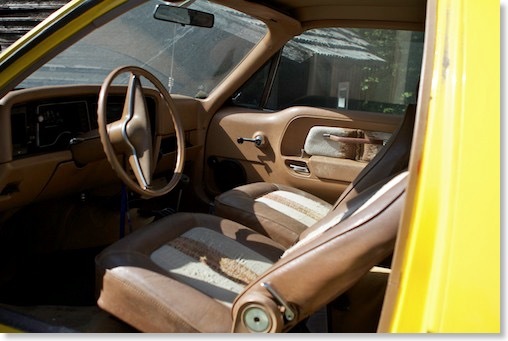 Tayfuns 1981 Eldo finally repaired! 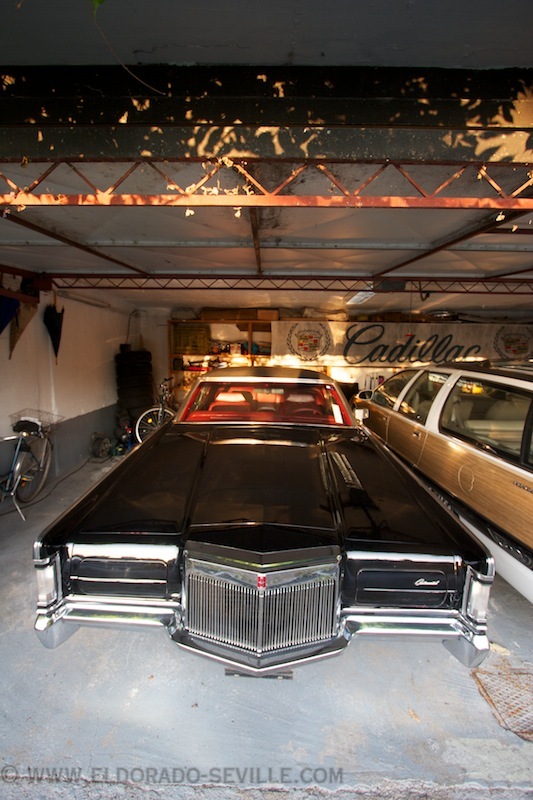 My friend Tayfun visited me once again to try to have his 1981 Eldorado back in working order. 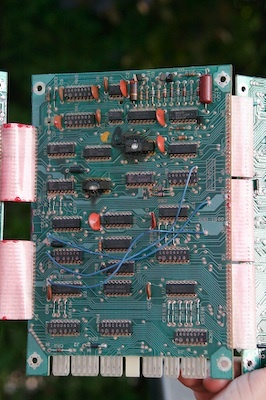 He was trying to fix an electronic problem that plagued him for years and nobody could find a solution so far. Finally with the help of Martin - a guy who is the owner of a custom autosound store - we could find a defective solenoid which was causing all the trouble. Finally his car is back in working order! This evening I met some friends and we had a photo session on the parkdeck of the local shopping mall. All the pictures can be found here. My buddy Tayfun was on visit for a couple of days and we were trying to repair his 1981 Pimperado. 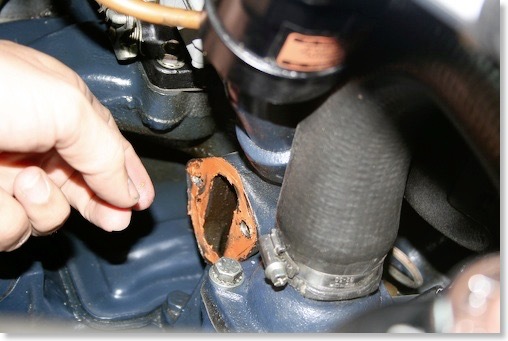 The car has a problem with its ECM which is constantly burning through. 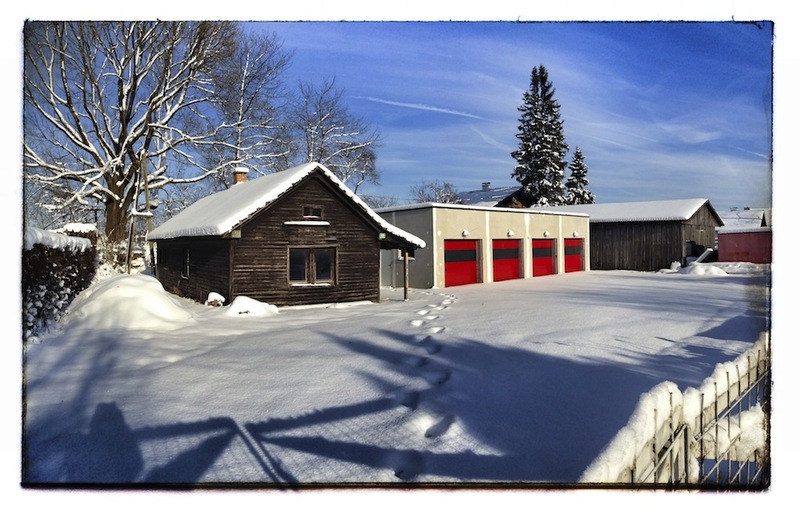 As the new garage was not finished yet we had to work in the old garage. Unfortunately we did not find the cause for this issue yet, but the search will go on. 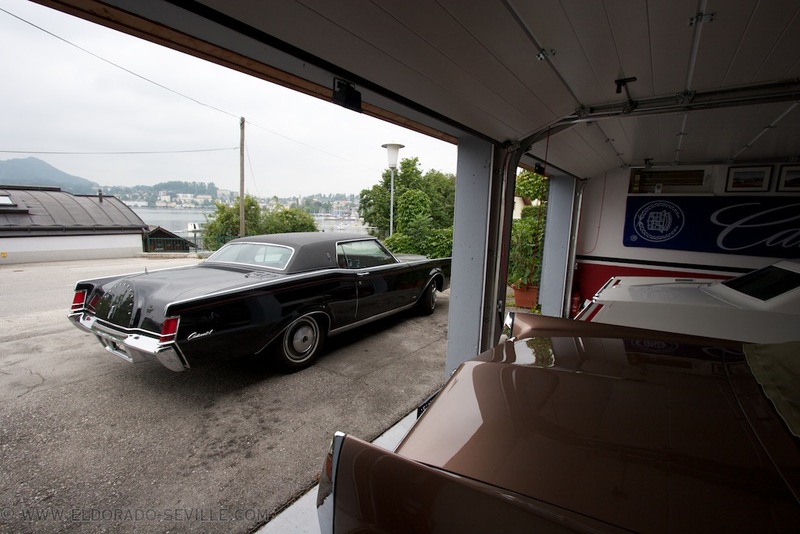 As weather was really fine today - I woke up both of my cars and took them for a spin after the long winter hibernation. 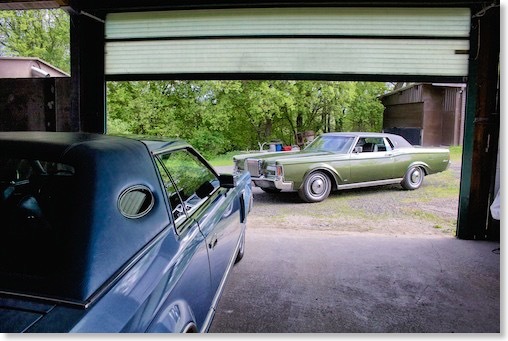 Both cars started right up after 8 months of being in storage and ran beautifully. 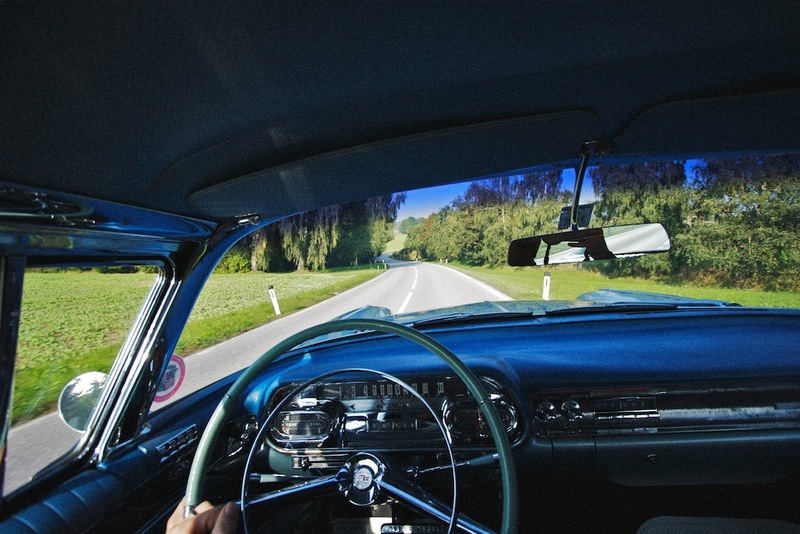 It was great to drive such land-yachts once again.